Singapore Employment Pass (EP) is a work visa which allows foreign professionals, managers, executives, specialists and professionals to live and work in Singapore. As per Singapore Company Act, if a foreigner wants to be a director of a Singapore Company, s/he too need to be a valid pass holder, and an Employment Pass is the most feasible option. Employment Pass is normally issued for 1-2 years at a time and renewable thereafter. An Employment Pass visa enables one to work and live in Singapore and travel in and out of the country freely without having to apply for Singapore entry visas. This increases the ease of conducting business activities. * Possessing an Employment Pass also makes it easier for you to apply for Permanent Residence (PR) in Singapore. Employment Pass applicant need to earn at least $3,600 a month and have acceptable qualifications. Older applicants will have to command a higher salary that is commensurate with the work experience and quality they are expected to bring. Employers or employment agents (recommended for higher approval rates) should apply the pass before an applicant comes to Singapore. It takes Singapore’s Ministry of Manpower (MOM) around 3 weeks or longer to process the application. Upon receiving the In-principle Approval (IPA) notification, we will make arrangements for the collection of your Employment Pass. The Employment Pass application can only be done once your company has been incorporated. It is not necessary to be physically present in Singapore while the application is being processed. The foreign professional must have a fixed monthly salary of at least S$3,600. A monthly income of S$6,000 or more is required so that a Dependant’s Pass application can be approved. Parents of successful Employment Pass holders can also apply for the LTVP, but the successful holder needs to draw a minimum salary of S$12,000 (from 1 January 2018 onwards) in order for them to qualify. Generally, a recognized Diploma/Degree qualification from a reputed university is expected. Having a recognized educational qualification does not guarantee a successful application as the applicant is also required to satisfy other criteria such as relevant work experience and/or professional skills. Similarly, an applicant who does not possess a recognized educational qualification may not necessarily be rejected for the Employment Pass if he or she possesses other compensating factors. Understanding the strict criteria can be a daunting task as Ministry of Manpower is a law unto itself, which is why we have prepared a detailed guide on theEmployment Pass Requirements in Singapore. Why use the Self-Assessment Tool (SAT)? If you look into ourSingapore Employment Pass Guide, it will be explained why it is a wise decision to make use of the Self-Assessment Tool (SAT), which is an online tool offered by Singapore’s Ministry of Manpower (MOM). This online tool acts as a guide to which work visa is more suitable for you as it is always updated to reflect current criteria of work passes. Applicant’s or employers can check whether if they meet the specific requirements to obtain the proper work pass as the tool does portray a high level of accuracy. The SAT will aid in checking your eligibility based on your nationality, education profile, working background or experience and salary profile. Should the SAT results indicate that the applicant is not eligible, it is advisable to not proceed with the application as chances are your application may be outright rejected. However, keep in mind that the SAT is merely a reference and does not depict actual result as your application will still be thoroughly reviewed by the Ministry of Manpower authorities. You may head to Ministry of Manpower’s site for the Self-Assessment Tool. Do note that this Self-Assessment Tool only serve as a system to check your eligibility and criteria prior to your application and NOT the approval of your application. Please note that time frame for application procedure can vary, depending if Ministry of Manpower requires additional document or vetting of document. Once the Employment Pass is approved, Ministry of Manpower will issue an In-Principle Approval (IPA) letter. An IPA letter is valid for six months from the date of notification of approval. After receiving the In-principle Approval notification, we will make arrangement for your EP card issuance. * You can get a medical examination done in your own country through an established clinic/hospital or in Singapore. Most clinics in Singapore can provide medical examination and report within one or two working day. Should you need to proceed to Ministry of Manpower for Card registration (for thumbprint and update photo shoot), we will assist you to book the appointment to Ministry of Manpower. The Employment Pass will be ready for your collection at our office after 4 working days. If you are overseas and require an entry visa to Singapore, your IPA letter will include a single journey entry visa. Upon your arrival in Singapore, we will make an appointment with Ministry of Manpower on your behalf for finger printing. Once the procedures have been completed, your pass will be ready in 4 working days. What happens if your Employment Pass Application is Rejected? In the event that your Employment Pass application is rejected by the authority, we will investigate why the outcome was so. Based on the reasons provided by Ministry of Manpower, we will then establish a firm appeal in your defence, addressing the issues raised and providing documents per request, if any. Appeals take at least 3 weeks, sometimes a little longer depending on Ministry of Manpower evaluation and checks. Why is Your Employment Pass Application Rejected? When your job scope does not match your qualification, your application will be rejected as your education profile and experience should be aligned with the job requirements. When your employer did not hire locals and feature good contributions to Singapore as this shows incompetency in the local economy and global workforce. When a local can easily replace your job, there is no need for a foreign talent as there are enough locals that can already do the same job. When you simply did not fulfil the criteria such as academic and salary qualifications. Your employer must make sure they have balanced ratio of locals to foreign employees. Your duration of previous job is less than 2 years and changed job without acceptable reason as Ministry of Manpower do not prefer job hoppers or applicant with spotty work records. When you have discrepancies in the information you provided such as your personal information, credentials or inadequate information to substantiate your application. When your resume does not exhibit an increasing level or importance and increasing salary, this will give an impression of you are not progressing and no value-added benefit is contributed. An elaborate approach and attention to detail is required when facing an application rejection, and we have hand down important factors from Ministry of Manpower’s point of view in our guide, Why is Your Singapore Employment Pass Rejected. W.e.f. August 2014, the Ministry of Manpower now requires companies that wish to hire Employment Pass Holders to first advertise the relevant position in the Singapore Workforce Development Agency’s Jobs Bank. However, certain exceptions apply. Ministry of Manpower’s strict yet subjective criteria focuses on many factors specially on the quality of the applicant itself and their background. There are some key factors that may give a hand in a successful application. One of the main key factor Ministry of Manpower is looking upon is whether the foreign hire is able to contribute correspondingly with the needs of Singapore’s economic setting. Generally, Singapore demand skilled talents that they are unable to seek within the island hence a potential foreign talent is needed. A successful application is guaranteed if it is from a company operating in sector which is significant to the growth of Singapore economy especially if it is a priority sector. To illustrate, given that if you are applying for a job in a Research & Development centre of a medical or pharmaceutical institution with a high drawn salary, you will be able to secure your pass faster. Conversely, if you are in an industry like Food & Beverage (F&B) or Information Technology (IT), and your salary only tops a little above the minimum salary qualification, it is unlikely that your pass will be approved. When it comes to salary, Ministry of Manpower’s threshold is that the salary should commensurate the talent and be competitive enough to meet the manpower needs of the region’s economy. Your salary should at least be $3600 or more and if you have extensive experience in your field, it is only reasonable that you should be offered even a higher amount of salary. Note that if there are many other applicants who meet other criteria on qualifications and experience, it lands to a point where applicants with a higher salary has a faster chance of approval. The logic here is that the salary must not match or compete with local talent, which is why it should be at a higher amount. An applicant’s skills should portray appropriate relevance to the potential employee’s job scope. Apart from your resume, Ministry of Manpower will also closely scrutinize your job description to understand the responsibilities of the role and if it can create value-added advantages in the long run. If your position requires special or rare skills instead of commonly available skills, your application will be looked highly upon as such skills are considered scarce among local Singaporeans. There are more chances for a successful application is applicant can provide any testimonials or past achievements from previous employers. The rationale here is that you will need to convince Ministry of Manpower that your skills are outstanding and different from the rest. The Singapore government is mandated to give priority for the locals in the hiring process. As such, employers are in the obligation to advertise the job in Job Banks for at least 2 weeks and until there are no locals applying for the job, only then they can consider hiring foreign employees. This act is to mainly aid the government scheme called the Fair Consideration Framework (FCF). This scheme is directed to set clear expectations for companies to consider Singaporeans before hiring foreigners to uphold fair recruitment practice. If your company is still new and in early growth stages, a viable business model is required to build the profile of the company and it is best to demonstrate a 3-year projected financials and include a detailed proposed business activity in Singapore. Your application will also be looked upon favourably if you include emphasis on your future hiring plans for Singaporeans. This business plan portrays your future plan and intention to positively contribute to the republic and do note that an ideal business plan usually consists of at least 3-4 pages supported with effective visual aids or pictures. When it comes to paid-up capital, the longer the company operates, the higher are the chances of approval. But even if you are a long operating company or a new company/start-up, you will need to demonstrate a large paid-up capital. This is to prove to Ministry of Manpower that you have the financial viability to pay out salaries consistently. An ideal minimum paid-up capital is $50,000 which is an agreeable fund but the higher it is, better are the chances of approval. Ministry of Manpower is clamping down on those companies who are not financially strong enough to support the salary pay out and other business expenses. The rationale here is that a low paid-up capital will have a low probability of approval as Ministry of Manpower will look at a capital of one-year expenses at least. In our Singapore Employment Pass Guide 2, we have straightened out some of the critical factors for a successful application. You may also use the Self Assessment Tool (SAT) to check the Employment Pass or S Pass eligibility of your candidate before you apply or appeal. Our office is already functioning in Singapore. It is known as Indiatourism, Singapore it is a Representative Office of Ministry of Tourism, Government of India, registered with Enterprise Singapore. Indiatourism, office Singapore is not doing any commercial activity and the mandate of the office is to promote tourism from the area of its jurisdiction to India, by coordinating with tour operators, participating in the fairs/ exhibitions etc.. The office and the officers are also not paying taxes. Earlier the staff strength of the office was 4 (2 India based officers and 2 local based) now it has changed as 7 ( 5 India based and 2 local based) and the Enterprise Singapore is registering offices upto 4 staff. It has been advised by them to register Indiatourism Singapore with ACRA with the revised Staff Strength. I want to apply for employment pass and therefore need help for registration and for applying for Employment pass. Sure, our in-house employment agent will able to assist you for employment pass application to ensure the right work visa to work in Singapore. My corporate specialist will contact you. To obtain an Employment Pass in Singapore, you would either need to be employed by a Singapore-based employer, or start your own business. Our highly recommended all-in-one Incorporation with Employment Pass package is the best way for entrepreneurs to get started. Do drop us an email at paulhypepage@php-cpa.com.sg for more information. We have an all-in-one Incorporation with Employment Pass package which is the quickest and most efficient option for setting up a company in Singapore. To be able to advise you better, we would need to know more details about the nature of the business you intend to set up. Do drop us an email at paulhypepage@php-cpa.com.sg to set up an appointment, we look forward to working with you. There are two ways to get an Employment Pass in Singapore. The first would be through being hired by a local Singaporean employer, and the second would be through setting up your own company via our all-in-one Incorporation with Employment Pass package. If you would like to explore the second option, do contact us at paulhypepage@php-cpa.com.sg. My company would like to promote me as account executive & apply EP for me, I have >9 years of working experience (<2 years in Singapore), but I only holding LCCI level 3 group diploma in accounting, am I eligible for the application? How much salary my employer need to offer me in order to meet the requirement? And currently I'm 30 years old. You may check your eligibility on MOM’s Self-Assessment tool available on their website. Hope this helps. I need your advise…. how to obtain an EP in Singapore? 1. I am the foreign Director of two registered company in Singapore since 2015 and possessed major share in both. The way to obtain EP in Singapore is either through a Singapore-based employer, or by setting up your own business with our all-in-one Incorporation with Employment Pass package. Should you need assistance with setting up your own business, do drop us an email at paulhypepage@php-cpa.com.sg and our dedicated Corporate Specialists will get back to you. Do Employment pass need sponsorship? If the company does not give sponsorship, can I still apply for Employment Pass? I am an Electrical Engineer from Bangalore India having experience of 20 years in engineering, facility & projects in Health care industry in India, Malaysia & UAE. how do i apply for a employment pass to work in Singapore or how to approach companies that employ professionals with employment pass. You can get an Employment Pass in Singapore through one of two ways. The first is you need to be employed by a Singapore-based employer who will arrange this for you. The second is you could consider setting up your own company through our all-in-one Incorporation with Employment Pass package. If you wish to go with the second option, please do not hesitate to contact us at paulhypepage@php-cpa.com.sg. Hi, I am working with S pass in Singapore. If I want change my job and need to apply properly same as before. I don’t know the agent what they fill it in my application. Some one told me If I want apply the new job and should be need the apply copy of the previous application. I asked the agency for my apply copy but I can not get from him. First How can I get the apply copy? Second thing If the new employer can apply as per my CV ? If there is some difference between my last application and new application is there means any problem will rise my approval. So please explain me. Thank you so much. Your new employer would need to handle the S Pass application for you. Alternatively, you may also refer to the Ministry of Manpower (MOM)’s website for S Pass eligibility and criteria, as well as conduct a Self Assessment Test. i want to apply for employment visa , can you help me ? can you find company do this for me ? There are 2 ways to acquire an Employment Pass. The first is through an employer, and the second is through our all-in-one Incorporation with Employment Pass package designed specifically for entrepreneurs who wish to efficiently setup a business in Singapore. Do setup an appointment with us at paulhypepage@php-cpa.com.sg and our Corporate Specialists will get back to you. Hi, I just upgrade my work pass from work permit(1 year) to EP(1 month). Should i apply Singapore PR now ? Previously i m a SPR about 10 years agos. You may check the eligibility requirements for PR application on the Ministry of Manpower (MOM)’s website to see if you meet all the criteria entailed. You may check your EP eligibility through a Self-Assessment Test on the Ministry of Manpower (MOM)’s website. You would need to fulfil certain criteria including a minimum salary of SGD$3,600 to be eligible for EP. Hello, I have S Pass and my income is 6500sgd /month. I got married civil registration with my wife in Vietnam. I’m am from Spain and working in singapore. I want to apply DP for her. You may refer to the Ministry of Manpower (MOM)’s full list of criteria needed for DP applications. Work visas in Singapore can either be acquired through an employer, or through the incorporation of your own company. If it is through an employer, you would need to meet the minimum salary requirements, along with other criteria which you can view on the Ministry of Manpower (MOM)’s website. We assist individuals who want to set up a company in Singapore through our all-in-one Incorporation with Employment Pass package. If you wish to proceed with this option, please do drop us an email at paulhypepage@php-cpa.com.sg to set up an appointment for further discussion. I am an Indian working professional at Singapore for past 3 years 8 months. Holding EP for 8200 SGD per month. Actually, I have been given termination by the current employer and my last working day with them was Dec 20th, 2017. Today 6th of Jan I have got a new Job offer through an outsourcing agency for just 6200 SGD per month. And the new employer is in process of initiating new EP for me. Having nearly 8 years of networking experience with bachelor Degree, MOM self-assessment tool says I am eligible for EP and S Pass. Here my question is, What if a candidate coming from Higher salary to Lower salary with the designation of Network Engineer. Will Mom approve my EP request? Please comment and advice. MOM would assess each candidate’s application individually, and approvals are granted if all of their assessment criteria have been met. Because each application is unique, it is difficult to say for certain what the outcome would be. I am diploma in mechanical with 8 yrs of experience. I want s pass of singapore. How can get that ? You would need a fixed monthly salary of at least $2,200. The salary should reflect work experience. You may read up more about S Pass eligibility on the Ministry of Manpower (MOM)’s website. Hi, I will be moving to Singapore but continue to work remotely for an Australian company, i.e they do not operate in Singapore. Am I still eligible to get an EP visa to live and work in Singapore? You would need an employer in Singapore to apply for an EP visa should you wish to work and live in Singapore. Alternatively, you may opt to set up your own company to acquire an EP via incorporation. We have an all-in-one Incorporation with Employment Pass package available for that option. I am holding a DP from my spouse’s EP status.My spouse changed employer and was issued an IPA for an Spass already …can he apply already for a new DP for me even if what he holds now is still just an IPA,bec he is still serving his-month notice to his old employer..?tnx. A new Dependant Pass can be applied as long as the previous Employment Pass has been cancelled prior to the new application. You would either need an employer to apply for an Employment Pass for you, or you may consider starting a business of your own. Our all-in-one Incorporation with Employment Pass package is your best option if you are keen to start your own business. Do contact us at paulhypepage@php-cpa.com.sg for a more detailed discussion. Hi, I am currently applying for an Employment Pass and just about to fill up the form. However, I still hold on Student pass as I have not yet graduated from the institution. Will the application be rejected if that is the case? Please help. Thank you in advance. MOM will have their criteria for assessing each individual application and the success rate depends on whether the application meets all the necessary criteria. You may do a self-assessment test on MOM’s website to check if you meet all the requirements. Hello! I’ve been in Singapore last Nov.9 as social visit pass. My old employer applied my employment visa on December 6. Now, I went to JB Malaysia because my social visit pass will expire. As of today Dec. 13, my visa status is still pending. Can I enter Singapore as social visit even if i have pending employment visa status? Thank you very much for your immediate reply. You may apply for a Short Term Visit Pass to enter Singapore. Please explain EP Dependent pass holder can act as a local director of a company. MOM allow to start business for EP Dependent pass holder. As a Dependant Pass holder, you would need to apply for a Letter of Consent (LOC) to be eligible to work in Singapore. My employer’s first attempt to apply for my EP got rejected. Soon after I found out about this, my headhunter told me that my employer will re-appeal. However, when I checked MOM site, it is still showing the first applications details. Meaning it still shows my “rejection status”. Shouldnt MOM site show “pending” if my employer has sent out their re-appeal? Please advise. Thanks. For a more accurate reflection of your status, it would be better for you or your employer to follow-up with MOM directly. I just received an update from my employer and was told that they are still waiting for MOMs response on their appeal. It only took 8 days to get my EP application status out meaning it showed that the application was rejected. My employer reappealed my EP last week so I hope I will have the same turnaround time in getting the reappeal’s status. My question is what if the reappeal gets rejected again? Can my employer reappeal again? Hi, Currently I am in Indai and have two job offers from two different employers in singapore. I got work permit in priciple approval from first employer, now second employer is about to file EP. I wish to go with second employer. Does it have any impact on getting approval of EP of second employer as I have approval letter from first one? What could be the solution for this. You are only allowed to have one EP at a time. If you wish to go with your second employer, you will need to cancel the approval from the first employer, or your application will not be approved. Ideally, you should try to secure employment in Singapore first so your employer can prepare the necessary work visa for you and make the move easier. Alternatively, you may opt to start your own business, and our all-in-one Incorporation with Employment Pass package can help you with that. Do drop us an email at paulhypepage@php-cpa.com.sg if you have any further queries or you would like to explore the option of starting your own business. My E pass just expired but I already have 1 month extension of pass requested by my employer and it is approved. My question is, I’ll be going to Malaysia this December for 1 day. Will it be okay to exit singapore while I’m on an extension pass? Please help me. I am just worried that there will be a problem in the immigration. Thank you in advance. I’m afraid that under the extension pass, you will not be able to exit Singapore. If you do, the pass will be considered void. I have an EP till mid-December 2017. While the application is under review, my wife’s DP expires in 10 days. Would I be able to extend her stay with a short term visit pass without her having to leave Singapore. Worst case scenario where my EP renewal takes longer, I’ll probably have to get a short term visit pass again & get a 2nd one for my wife in December. Is this possible? It is possible to try and request for 1 month extension while awaiting the renewal of your pass. But it’s not a guarantee, unfortunately. You will need to call MOM to put in the request. Usually they only permit up to 1 time for a 1 month extension. In case my Ep renewal gets rejected at a short notice, would I then be able to get a short term visit pass to set my things in order or look for a new job? Would applying 1 week before the EP expiry date suffice? Is there a required number of days to be in Singapore for an EP holder? Thanks! There is no required number of days for an EP holder to be in Singapore. First time candidates are eligible to work in Singapore with an EP for up to 2 years. EP renewals have an eligibility of up to 3 years. I would like to know the following: if one of my employees has an EP for Singapore (he is a Swiss national), to which other Asian countries can he travel with that EP without having to request an entry visa? Or does the EP in Singapore not grant any benefits on that level? Unfortunately, we are not able to further advise on this matter as we do not have the necessary requirements and protocols for other Asian countries. Currently I’m in Singapore from 10th august and my current visa expires on 31st October. MY employer applied me E-pass on 30/08/17. still my E-pass status is pending . Is it I need to exit from Singapore to get my E-pass approve? MOM has very stringent approval regulations. Some applications may take longer than others to approve if MOM needs to check on certain documents. You may try following up directly for the status of your application. 1. Is it legal for DP start working without LOC ? My wife’s employer said that there is a probation before LOC submitted. 2. Is it a bad record if we are joining a company and resigning after 1-2 months ? May it impact furture EP application ? As for your second question, the hiring process is completely up to the employer’s discretion. I am currently studying a full-time MBA in Singapore. I just finished my 2nd trimester. I have one semester left before I graduate. As my school also offers a part-time study, I was thinking of looking for a job now, and if I found an employer willing to apply for a work permit for me, I would consider finishing my last semester part-time while working full-time on EP/S Pass. My question is, is it possible for me to switch from Student Pass to EP/S-Pass? Can an employer apply for me for an EP while I am on student pass, or do I need to first cancel my Student Pass or wait until my studies are finished? Thank you for getting in touch. Under MOM regulations, if you are holding a Student Pass in Singapore, you are only allowed to work if you meet specific requirements. You may find out the details of eligibility on MOM’s website. I am facing identical issue as I just graduated from temasek poly, I need to commit my tuition grant. I got an epass approval on august but at the same time i got another better offer. So i withdaw my first epass application and applied for a new application at the new company. Wanted to ask that is it will affect my new application outcome? Thank you for getting in touch. MOM will assess each application careful and the approval outcome for each candidate would vary depending on several possible factors. Unfortunately, we are unable to advise any further because we are not the applying agent in this matter. We wish you all the best with your application. I am currently an EP holder. I am working in Singapore for around 6 months, and my current salary is around 5k monthly (need to work 6 days/week and someday needs to work overtime). Now I am considering to move to another company with lower salary 3.8k with 5 days work. Do you think I can get the IPA if I get lower salary? The company that applies the work visa permit would be able to determine what the best option for you would be. Alternatively, you may try doing an online Self-Assessment Test on MOM’s website to check your eligibility. Then I want to ask how is the procedure to move to new company. Can I not to say to my current employer first until I get my new IPA approved? And if my new IPA get rejected, will my current employer get notification? I have worked in Singapore before as PR for 5 years. I had to leave to India to attend a family emergency. I came back to Singapore because the company wanted me to move to Singapore. I moved here on EP. I got an offer from a company and they applied for EP. Before it got approved I got a better offer and hence I asked the company to withdraw the application. They withdrew the application and the new company applied for my EP on 31st August. It’s still pending. Does withdrawing EP affect chances for obtaining another EP with a newer employee who offered a better opportunity? Approval times vary depending on MOM’s evaluation process. Unfortunately, we are unable to advise you further as we are not the applying agent of your application. You may try contacting MOM directly for a follow up. Im a dependent pass holder and my hubby is an EP holder. I was working in SG from 2010-2016. I have started looking out for jobs from Jun 17 onwards. On jun i got an offer with a company and they applied LOC for me on 29th Jun. It took almost a month and on Aug 3rd it has been issued. Unfortunately by mid of aug employer told that they filled position with another candidate due to delay in LOC Approval. I really dont have an idea why they said that after 2 weeks from LOC Approval. Now i got another offer which is short term for 3 months contracts. Im worried and totally frustrated about how long will it take my Loc to get approved. ?.i dont want to.kiss this offer too. Also my concern is as the employer knows the new processing time of LOC do they can come up.with the reason of LOC Approval delay for offer withdrawal. Please advise. The speed of approvals would vary with each individual applicant. Sometimes, more time may be required for assessing and reviewing the applicant’s submission. Unfortunately, we are unable to further advise as to an employer’s offer or withdrawal as those matters are at the company’s own discretion. You would have to wait for your EP to be approve before commencing work. I am a graduate student from singapore university with 2 years of IT exp in india and got a job offer from a MNC company for the salary 3500pm. Currently I am under DP and the company has applied loc for me. Its been 15 days now, but still the status is pending. All my DP pass friends got their LOC approved within 10 days. I am worried because I am from sg university where i am also eligible for EP but since it is a contract job I am okay to work under LOC. Is there any possibility my LOC will be rejected?? It is hard to say for sure, as each case is assessed individually, and MOM is very stringent with their process. Unfortunately, we are unable to further advise on this matter as we are not the applying agent. Hi, my employer is an event producer of the biggest technology show in asia and also globally, they have been in Singapore for the last 3-4 years. So I got a job offer and they applied for my epass 5 days ago, but it was rejected yesterday for a reason “the candidate is not eligible to apply for a work pass”. I have left my last employer last Dec 2016 under epass. I went back manila to continue my online study by Google and got certificate for that march 2017. I stayed in Manila for a while for family reasons, medical and deaths in the family. I have been working in SIngapore for past 5 years (total working experience of 10yrs), and i was a shocked that I got rejected for this application. My employer is willing to re-appeal and is still waiting from MOM to provide further details of rejection. What could be the cause of my rejection “not eligible”? Sorry to hear that, rejections can be very disappointing. Unfortunately, it is hard to say for certain what could have caused the rejection by MOM. Each application is vetted thoroughly by them and reasons for rejection could vary depending on the candidate applying. We wish you success with your re-appeal. I’m M’sian currentlg holding WP, working in current company for more than 9 yrs (resigned & left company on 20/6/2017, re-joined on 13/7/2017). Tried to apply EP but failed and appeal submitted unfortunately rejected as well. Monthly salary is more than SGD4,300.00 without any cert or diploma. However heard from some friends that those new staffs of thier company whom holding M’sia Univerisity cert managed to get EP whereby their salary is only SGD2,400.00 per month. Please advice if any solution for my case? Sometimes it depends on the company profile that is apply the EP for you as well. Should you be interested to start up your own business and apply EP for yourself, we will be able to assist you from incorporation to employment pass. Contact our Corporate Specialist for a one to one consultation today! Is this common? I have never heard of anyone got this email from MOM, because usually MOM only contacts employer. Does this mean that they are using vetting agencies? But if they are, usually the result will take up to 2 months, but why now they are telling me it is at least 3 months? Thanks. There are some cases which may take longer to approve because there may be additional documents or factors which MOM would have to thoroughly check for. The approval process may take longer if additional documents are required. Hope this helps. Hello, I am considering setting up a company and get an employment pass then assign myself as a director. With the EP, is there any minimum stay required in Singapore? Is it possible to stay and operate my company outside of Singapore? If you’re keen on setting up a company, our all-in-one Incorporation with Employment Pass Package will have you taken care of from start to finish. Would you be able to provide us with more details so we would be able to better advise you? Do drop us an email at paulhypepage@php-cpa.com.sg and for more details. my EP application requires me to provide a residential address in Singapore but I currently do not have one yet.. Can I just put a friend’s address? Or does it have to be an officially rented address? You will need to provide the address you are currently staying in and once you have a new address, you can update to MOM again there after. It is a must to give MOM your latest residential address. I am staying in India and working for an agency in Singapore. My agency has applied EP for me in March 2017 and I see the status as pending till date. My HR is not ready to check with MOM for the status as they are saying I will get it soon. Also I checked MOM tool and I am not eligible for EP. 1. Will I still get EP depending on other factors? 2.Can I call MOM directly to know the status of the application? EP outcomes and approvals would depend on MOM’s criteria and requirements, thus the best way to handle this would be to follow up directly with MOM or your HR directly as they have been the ones handling your case. Hope this helps. I’m a S-Pass holder for last 2 years as a graphic designer in Singapore. Recently I got an offer from a company with 3.6k salary and willing to apply an employment pass for me. But I only have a Diploma as my highest education level. Am I eligible for applying one? Because of the company current foreign worker quota limit, they couldn’t apply a S-Pass for me. What options do we have under this circumstance? As of 1st January 2017, new guidelines are imposed for the EP application. MOM has a Self Assessment Tool (SAT) on their website which you can use to see if you meet the criteria for EP. However, the results of the SAT are not a reflection of the actual outcome. Hope this helps. However, the results of the SAT are not a reflection of the actual outcome. Hope this helps. Please clarify above line.I checked using SAT based on work ex and things.IT says eligible for SPass.Currently I have EP. Is there any chance I can get EP on same salary ? The SAT is a indicator to see which visa type you would qualify for, it is not a 100% guarantee. The final outcome would still be decided by MOM. I have been in Singapore for last 5years, Working as Project Manager. 1st year i was in Spass after that all the way in EP, Previous renewals were successful. But this time when my company try to renew my application got rejected on 19/07/2017. My company has appealed on 25/07/2017. And today (14/08/2017) MOM has informed my employer that they need more time to review our appeal. Meanwhile my existing EP going to expire on 22/08/2017, which is next week. So, my query now while my appeal still pending, am i allowed to stay in singapore even beyond my existing EP expiry date. You may apply for an extension on your EP through MOM, or you may opt to extend your stay using the short term visit pass. Hope this helps. I have recently gotten a job in startup company. I understand that MOM require companies to advertise their jobs in the JobsBank for at least 14 days. However, the company that accepted me has fewer than 25 employees and I know that they are being exempted from advertising the job. Do you think that my application will be rejected because of this? MOM’s outcome depends on the case, and since each case is different we are unable to advise further on what the possible outcome may be. MOM has an online self assessment tool which you could use to predict the outcome which is available on their website. My epass has been rejected. I tried to contact the employer, they didnt give any response. Can I find another employer? i mean is it okay if another employer will hire me, and will apply for my pass? Yes, you may seek out another employer and if they are willing to hire you, they would proceed with the necessary work visa application. Alternatively, you may try contacting MOM to find out why your application was rejected if the employer is not responding. Hi Paul, my wife is currently a Ph.D student at NUS, I want to come to Singapore to work while she study. I will be coming in November through social visit pass. if I find job in Singapore will I need LOC, EP or SP?. I have HND in Computer science with 8 years working experience. what is my chance of being allowed to work while my wife is doing her PhD studies. It depends in what kind of pass your wife is holding, and if you can applied for a Dependent Pass. Only with a Dependent Pass then can you get an LOC to work. You can also consider setting up your own company and apply for Employment Pass, should you be interested. We will be able to assist you from incorporation to work pass application. I dont have a degree or diploma, but im working for a US company which has a branch office in singapore. How likely is it to get an EP if my company applies for me (salary could be 8K-10K) and work experience is about 11yrs. The best way to pre-assess how likely you are to get your EP approved is to go the Self Assessment Test tool on MOMs website. I put in my cv as working experience a different company name from the one who applied for me. I had training with company A for 2 mos, then i got accepted with company B(spass). I only worked there for 3 mos (didnt continue because of the probation). I looked for another job then i got accepted with company C (epass). But the one i submitted in my CV, i combined the working period of company A (2mos) and company B (3mos) and used company A’s name. I said I worked in company A for like 5 mos. Which is not true. And the one who applied for me to MOM before is company B. Will the MOM can trace/check this one? that the one, company C key in in my work experience is different from the one who applied for me before. MOM is very stringent with their rules, and information on CVs which are not 100% accurate could jeopardize your chances of approval. We are unable to advise further as we are not the applying agent. I worked here in SG for the first time (under spass) for 3 mos but my employer didnt continue after my probation. I applied again, then new employer hired me, but this one is Epass. The salary that says in the contract is 2800. I also tried SAT for Epass, im only qualified for spass. I informed them and they still push thru. Are there any chances I will get approved for Epass? The EP minimum salary criteria is SGD$3,600. Thus, under this circumstances, we are unable to advise further as we are not the applying agent. I have two colleagues from Malaysia and their salary is below 3,300 and managed to get E- Passes. How is that possible? Does it mean it is based on where you come from as well? The circumstances of E-Pass at times may vary. It is hard to say for sure what may have contributed to the approval. Do drop us an email at paulhypepage@php-cpa.com.sg if there is anything else we can help you with. Can I do E-extend to my Visit pass that was given to me after my Epass was cancelled. My visit pass is expiring on 11 Aug, but my passport is not with me as I did an application for UK Visa weeks before my pass was cancelled. I am still waiting for UK to return my passport, unfortunately they can not give me a definite date even though it has already exceeded 5-15 working days processing time. What are my options that you know of, so that i could stay longer as i do not want to cancel my current UK visa application (cancellation of UK visa application seems to be the only way to get back my passport but it will also take 10 working days). You would have to ask your agent or company to request for a temporary 30 days extension before your pass expires or you will be charged for overstaying. Good luck! hi boss i need to know i am here working under epass i can do here any business if any possible..
You are only allow to work for the company which has applied the EP for you. Should you like to start up your own business in Singapore, you can incorporate as director with your current EP (provided it wont clash with your current employment contract). We will be able to assist you through the whole process and applications. I am Amal Babu . I am a software engineer having 2 years and 10 month plus experience. currently am looking for a job in Singapore.Also my fiancee is working there. So am planing to settled in Singapore and work there. so is there any chances to get S pass / employment pass to work there ? As long as you meet the criteria for EP/S pass application, it should be no problem to get. You could also opt for our Incorporation with Employment Pass package which allows you to start your own company in Singapore if you’re looking at doing that. Do drop us an email at paulhypepage@php-cpa.com.sg for more details and charges. Hope to hear from you soon. Currently i am looking for a Spass/employment jobs in Singapore . Most of the recruitment agencies like jobstreet, jobsdb etc. are giving priority for SPR/native citizen. There are only few options for foreigners .So could you please help me to suggest any company or recruitment agencies that they are hiring foreigners and ready to give them spass /epass. I am ready to give the agent fee also if its needed . Thank you for your advice and i am haven’t think about to start any business in Singapore right now, first i want know about the culture and marketing details before i am going to start any business . If you and your would be are planning to get married soon, you would need to apply for approval and complete the Marriage Application Form with MOM. Alternatively, if he would just like to obtain permanent resident status, he would need to work for a minimum of 2 years in Singapore before applying. The full list of eligibility criteria can be found on MOMs website. MOM’s approval process depends on several criteria. Sometimes it could take longer if they need more time to verify certain documents, so there really is no strict time frame for this. Hope this helps. Glad to hear it! Please do not hesitate to contact us if you need any further assistance. I would be very grateful for any advice about how to transition between jobs. I am new to Singapore, have been working in Company A on an EP for 2 months and have had an application for an EP with Company B approved. My probation period is 3 months, my contract mentions that the probation period can be terminated but gives no details on timings. Later in the contract it states the notice period is 2 months. My question is how much notice do I need to give? Is it the full 2 months, can I leave when the probation ends or can I go sooner than that? (I am desperate to leave but I am sure my employer would want me to stay as long as possible). You will need to confirm the details of your employment with Company A to determine the exact notice period you need to serve. Different companies would carry different terms and conditions when it comes to employment, no two companies are the same. I suggest that you clarify with your current employer as soon as possible if you wish to move to Company B. Hope this helps. I have a question please clear me…. My Husband is on EP here his salaray is SGD, 10500. Im on DP here with him. Now our EP and DP both are expiring on Dec 2017. Can you tell me how much chances is we ll get EP and DP revewal? The chances of renewal depends on several criteria that MOM would need to assess. If your husband’s company is renewing his contract, they would be able to put in an application for renewal. Or if you are interested in setting up your own company, you can also apply for an EP to start your own company. Contact us if you would like to be your own boss. I need your advice and professional help. I have a foreign friend whose really interested to start a bussiness with me in singapore. I dont know exactly how is the procedure. I told him it will be a long process so he decided to come here as a student 1st for 3months to see how it goes. I did register for him to attend 12weeks intermidiate english course. The private college just apply for his student visa but they said they cant promised anything if he will get the student visa or not. Im really worried as he already did buy stocks for our upcoming bussiness and he did send me part of the capital for me for start up. I just came across your company. Please contact me or email me. There are many factors to MOM consideration for work pass, thus we wont be able to give you a full analysis unless we know more about the company We would also recommend our all-in-one Incorporation With Employment Pass package, as we have the expertise to assist foreign entrepreneurs like yourself to set up a business efficiently in Singapore. I am having S pass in company A. Now company B wants to hire and apply E pass for me. Do Company A need to cancel the S pass before company B can apply E pass for me? or company B can apply E pass while I am holding S pass in company A? Company B can go ahead and apply for your EP while you are still under the S Pass. Once your EP has been approved, you may then request to cancel your current S Pass with Company A. Hope this helps. I have been working in Singapore more than 5 years. I have recently accepted a job offer from one company. They applied the pass for me but it was rejected. They have appealed for me. While waiting for appeal result, another company has offered me and I have accepted. They are going to apply EP for me. Will there be a conflict? and will MOM reject the appeal because of new EP application? If there is already a pending application, the second company will not be able to put in an application for you. MOM will already detect there is a pending appeal . You must cancel / withdraw the appeal/application before attempting to submit another. Hope this helps. My company told me that they will apply S pass for me, but why the PASS TYPE on the Online Status Checking System of MOM showing Employment PASS? What the type of pass they apply for me? The application for S pass and EP are using the same portal, so you might not be able to tell the actual until MOM officially replies. My application has been submitted on 29th, I am able to find the update in the MOM portal. stats is shows pending. how long usually will it take to get the pass approval? The speed of approval would depend on the application submitted. There are times MOM takes a little longer to approve an application depending on the documents submitted and to verify them. Duration can be from 3 weeks to 2 months. I got job last week and my question is about my application is still pending and i don’t know what to do because my short term visa will expired nxtweek.thank you. Your employer can try calling MOM and following up with them directly to inquire about the status of your application. Sometimes MOM takes longer to approve an application depending on the documents submitted and additional time required to verify them with external agent. My sister is currently working in Singapore with an EP but her contract is about to end. She’s getting other offers but they’re unable to give her an EP. They’re ready to hire her under DP. Will her EP be cancelled once she’s out of the company? How long can she stay in Singapore after that? Is there any likely solution for her situation? Once she has finished her contract with her current company, the current company will cancel her EP and they can request for a 30 days short term visit pass for her to remain in Singapore. She can start applying for her DP now so once her EP is cancelled, the new company can apply LOC (Letter of Consent)- for DP holder to work in Singapore. Engaging a professional employment agent to assist in EP/ DP/ LOC application is important to avoid any delay or overstay fines. Do contact us should you need our assistance. The employer who submitted your application will have to do the cancellation. You will not be able to put in any other application while you have another pending. Considering that I already had 3 years experience in Singapore and as permanent Staff, do you have any idea why got rejected? During Renew, I monitor the status and I can see it’s always from Pending to Rejected. Now after applied using agency company the status is from Pending to Pending Input from vetting agencies. Hopes that it is a good sign. Some applications may take more time if MOM needs to double check certain documentation. We would advise that you get the company or employment agent to try calling MOM on their direct line to follow up and request a current update for your case. Engaging a professional employment agent to apply for your work visa will definitely help. What is the difference between S pass and E pass, I’m a post gradudate. what pass would i get if i apply through a visa agency for a job ? 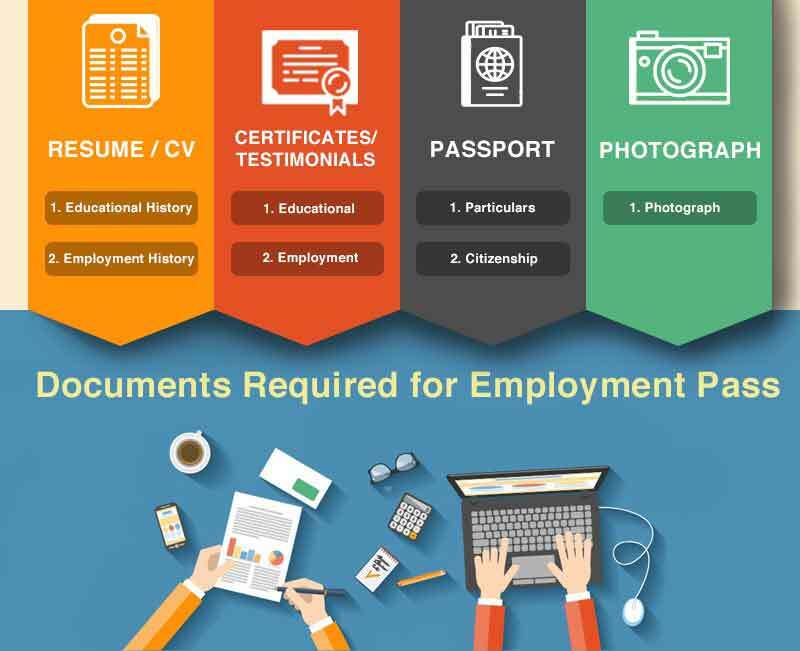 An Employment Pass (EP) is a Singapore work visa issued to foreign professional employees, managers, and owners/directors of Singapore companies. The S Pass allows mid-level skilled staff to work in Singapore. The pass you get would depend on the remuneration (salary package) offered to you by your company. The company would need to apply for a work pass for you. i am tsegaye from ethiopia. i have bsc degree of civil engineering with two years expeariance. now i want to searching a job in sengapore with tourist visa. can i get s jobs???? It will be better if you look for a job in Singapore first, and get your employer to apply work pass for you. You can check out Jobstreet and JobDB for opportunities. Another alternative to work in Singapore is to consider starting a business and setup your own company which we will be able to assist you with. Do drop us an email at paulhypepage@php-cpa.com.sg to discuss your options if you require our services. After reading all the questions and answers above I believe you are knowledgeable in dealing about MOM concerns. My question is a little different than everyone because this about MOM and ICA. I came to Singapore February and tried to look for a job but unfortunately my 1 month tourist visa is about to expire so 5 days before the expiry I travelled to Malaysia and came back 5 days after. I took the flight from Kuala Lumpur to SG but ;( I was deported. I was heart broken💔💔💔 The reason is, being ineligible for the issue of a pass under current immigration policies. About my background: I had my Attachment Programme in Singapore for 6 months year 2008. I have had worked in Singapore with S-pass for over 4 years, from 2012 to 2016. Now I’m back to my country, while I continued applying for the job online, I found an employer and they agreed to apply my S-pass. I’m happy but not happy, worried at the same time. When I emailed ICA regarding my deportation and re-visit Singapore, they said I need to find an Sponsor SPR or Singaporean to apply my visit visa approved by them before I can come to Singapore again. That having an In-Principal Approval(IPA) does not guatantee my entry into Singapore. While when I ask my prospective employer for a visit visa, they told me that I don’t need it anymore since they will be sending an IPA, just like All the other candidates they bring in from Philipines, India & China. They rest assured of this. I do not know who to believe. I also read a blogpost from an IPA holder from Philippines and she was denied to entry to Singapore too. I really don’t know who to believe and follow this time. All I know, I do not wan’t those nightmares to happen again, 2nd times. Please help. Any advice you can give Mr. Paul? Thank you sir in advance! We are sorry to hear about your predicament. By the books, should you have the IPA letter, you should be able to enter Singapore. However if you still have pending issues with ICA, that will be the main issue to you problem. You will need to email directly to ICA to get a clearer instruction as it varies differently for each applicant. Hello. I am an E-pass holder here in Singapore as a Field Engineer in Jurong Island. My contract will be ending in two months and I will return to my country. I like working here in Singapore and would like another opportunity in the near future. Is it easier to apply for a job once you were a former E-pass holder? Or would it be advisable to apply now before leaving Singapore? Thank you so much in advance and have a very good day. As of 1st January 2017, new guidelines are imposed for the EP application. As long as you meet the required criteria, it should be fine for you to apply for your pass. Paul Hype Page & Co will be able to assist with your EP application based on your situation when you have found suitable company to employ you. You could also consider setting up your own business and work as your own boss in Singapore as another alternative. To find out more, do drop us an email at paulhypepage@php-cpa.com.sg for more details and charges. We look forward to hearing from you. Regards. Recently, I got a job offer and my employer applied for E Pass for me last month. However it has been rejected and when I ask the employer to reason they told me that they’ve exceeded the quota for EPass for Malaysians. So now I’m looking for some other opportunities. My question is, is there any time period before I can send in a new application under different company? Each applicant can only submit one work visa at a time. If your previous application had been rejected, you can submit the next application. It is always best to enlist the services of an EP professional helps ensure that the process is less stressful as the consultant will prevent you from making common employment pass mistakes, which may lead to an EP rejection. I have an EP and payroll from a Singaporean company. However, I’m living outside Singapore as it’s difficult to get DP for my family. Is it possible that I can still obtain my EP whistle living outside Singapore? The main purpose of Employment Pass in Singapore is to allow professionals to work and live in Singapore. To apply for the Employment Pass, you must be eligible to apply for certain criteria such as minimum salary, etc. We would love to hear more so we can better advise you on your situation. Our team will be able to help you with your family dependent pass application. Do drop us an email at paulhypepage@php-cpa.com.sg for more details and charges. What are the requirements to be a sponsor for EP application assuming that candidate qualifies for EP? And how is a sponsor different from a third party? If you are an employer seeking to sponsor a candidate, there are several factors that will be considered for an applicant to be eligible for EP. The Ministry of Manpower will evaluate each applicant on the basis of individual merit. Our team will be able to advise you on what to do if you are able to provide us with more details. Do drop us an email at paulhypepage@php-cpa.com.sg for further discussion. I am currently in Singapore on a DP. I have two opportunities, both part time, which have come up. Since, I am looking to work full time, I am thinking of working at both places. One company said they will get an LoC for me and the other said that they may be able to get an EP for me. Will I be able to work for both companies? Will there be any problems with MoM? According to MOM rules, you will only be allowed to work with the company that applies the work pass for you. And one person is only allowed to apply for one type of work pass at a time. I am in India and got an offer in Singapore company. Agency has applied for my EP few days back with salary of S$5800. Now the EP tool says, my eligibility is S$6K. Will I still get EP approved? Also MOM has contacted the agency for additional documents and it has been submitted last week and the status is still showing as pending which worries me a lot. Someone please help me to understand this process. Thanks in advance. Review of additional documents and third party verification may take up to 2 months at times. MOM look at case by case basis. Getting a good employment agency helps to ensure your application is in good order and follow up is important. Thanks Paul. But will I still get EP when there is a salary difference in the tool and the salary offered? I am a Dependant pass holder in Singapore. A foreign company offered me a part time contract job that helps to run a project in Singapore. Do I still need to apply letter of consent since it is only a contract job and the company is not a Singaporean company. As long as you are required to work in Singapore, you will need a work visa. i would just like to ask if a start up company could apply for Employment pass? The company just started this month and would like to hire me and apply E pass for me. The company is registered already but i think under the 1$ capital business. It is a case by case situation and review. We will need to understand more about the company business proposal and forecast sales to be able to advise better. would like to check, if its a usual for Indonesian candidate (regardless S pass or EP) will get the status of “Pending inputs from vetting agencies. Expected outcome is 2 months from the Date of Application” ? I am indonesian and been study in snigapore for 6 years in a private school, got my bachelor degree and ACCA level II and company apply S pass to me. 4 days after submit the application, the status change from pending to “Pending inputs from vetting agencies. Expected outcome is 2 months from the Date of Application”. after google-ing 2 hours I come to read lot of Indonesian they application been pending and get this status as well. but my cert is Issue by UK and the university is in the top rank of 300 world wide and is accepted by MOM. I am also included my Student pass Fin number so MOM should be able to check that I am study in Singapore before and I did attached the letter cert as well as transcript from the university. therefore my question is that all Indonesian will have have this “Pending inputs from vetting agencies. Expected outcome is 2 months from the Date of Application” status ?? Yes, as there are many application going on, MOM may need to take up to 2 months for verification and follow up on documents which they will like to double check on. You may as your employment agent to give a follow up call 3 weeks after the submission to check if they can assist to speed up the progress. I have recently received a job offer from a MNC company in Singapore. Currently working in Malaysia. My EP application was submitted last week. May I know how long does it take for MOM to process my application, until I receive the approval? It depends on case by case application. It can take from 7 days to 2 months from EP submission. Having a good employment agency to assist and follow up on the application can help as well. HI! I am Malaysian. I end my previous company(Work pass) in end of the Feb , I go out to JB and come in SG with a white card which is valid in 30 days until 27/3 . But I was going back to Malaysia on 16/3-22/3, and coming back on 22/3 with a new white card which is valid 30 days until 21/4. I found a new job with EPass and company was going to apply a pass to me, but I just realised the job is not match to my career plan in the meantime. So I resign and got a short term visit pass which company send me it valid 30 days until begin of the May. My problem is, if I going out to JB in this period before the pass expired, am I still able to come in to SG? And if I come in, I will holding with white card? Thank you. The short term visit pass or any extended peroid letter expired once you leave Singapore. Thus when you enter again, you will be on the white card visitor pass. I would like to check with you, i have got a job offer from Singapore and my EP has approved. I have a few confusion……I have been informed that I am requested to sign for a 2 years contract based on the new laws from MOM. However, my interviewer has never mentioned to me during the interview. I have tried to search on MOM website but there’s no result. Would appreciate if you can answer me. This should be a contract between you and your company. And with it, your company will apply a 2 yr employment pass for you? We are not able to comments without actual contracts details. You should talk to your company to understand better. Hi! I was given the offer of employment here in Singapore. I am only under social visit pass. I accepted the offer and going back home to my country 2 days from now. My future employer told me that they will just email me once my pass is approved. My question is this: I’m a previous Permanent Resident of Singapore and came back here after 1 year and 2 months to seek for employment again. Will my pass application (done by my future employer) be affected because I renounced my PR? As long as you declare correctly during your EP application, it should not be any issue. However, it will be good to also ensure you have clear all your tax obligation. I’m a Malaysian, EP holder and currently working as sales engineer with a local Singapore company for 1 month. Another company want hire me as mechanical engineer and have asking their agency to apply EP for me. Hpw long MOM takes for my pass result? EP application usually takes about 7 working days to revert back, however based on case by case, should the MOM officer requires additional documents for the application, it may takes from 3 weeks to 2 months. how easy to start up a consultancy firm. I am from india,.Present i am holding S pass, i have overall 4 years experience and in singapore i have 3 + years. And i am holding master degree from india. Am i eligible for EP with 3600$ salary?? When i am checking with self assignment tool, its showing S pass eligilble. Still consultancy can apply for me EP with 3600?? There are many factors to an EP application. We will need more details of both your employing company and yourself in-order to provide a better assessment . Should you be interested to engage us to apply EP for you, pls drop us a note on the contact us page. We have submittted an EP application on the 22 Feb and the resulting status from MOM is “Pending inputs from vetting agencies. Expected outcome is 2 months from application”. This becomes challenging for us as employer as we need the staff urgently but with this status, we cannot forsee if it will even be approved. What if we wait for another 1.5 months and then it get rejected? What do you advise in this case? I’m currently holding work permit under an outsourcing agency for a temporary job. Now, I’ve got an offer for a better and stable job with EP pass as I’ve degree qualification and meet all other requirements. My concern now is, will the work permit that I’m currently holding may affect the EP application as it was just approved a week ago. What are the probabilities of the pass to get rejected? In this case, we wont be able to advise you unless we are the agent applying the pass for you as we need to have the whole picture to understand the situation. Is it possible to upgrade the SPass which just got approved in a few days to EP? Currently I am holding the ep and working at existing company for three years but I got only spass when new company applied the pass for me even though meeting their minimum salary. Actually I studied master degree in Singapore. Can I ask new company to obtain/ upgrade EP for me? Yes in theory, it is possible to convert SPass to EP as long as you need the Eligibility for Employment Pass. Do note that the minimum salary had increase to $3,600 and MOM also takes the employing company refers in to consideration. Thus it is still based on case by case based. I am writing on behalf of my partner. We have a registered Singapore company since 2010. He has now decided to apply for an EP thru our company as he is one of the directors. Could you please advice on the requirements needs for a successful application and also which application form should I download from MOM website. He currently has a 3 month visa. In the near future, he plans to apply for PR. Kindly note that he has an Indian passport and I am a Singapore citizen. Thank you in advance on your advice. Our in-house EP agency will be able to service you for the application. We have a good track records for Employment pass application and tailor made solution and documents to assist all MOM requirements. My Corporate specialist will drop you an email with more information shortly. Is it possible to cancel the application EP which is still in process? You can as the company or agent whom apply for you to withdraw the application if it is still in progress. My current EP is expiring in june 2017 at my current company. I have been appointed as director in the company. Would I therefore need to reapply for a new EP with my new role or can i renew my EP but informing mom about my new role? Usually you will only need to renew your EP, unless there are other arrangement details involved. Should you need our EP renewal services, do drop us an email for our corporate Specialist to assist you. We will advise you to renew 2 to 3 months before expiry to avoid delay or extension due to external document checking and follow up required by MOM. Hi, I am malaysian and EP holder, salary below 5K, my wife can to work in singapore? You will need a pay above $5000 to apply for DP for your wife and once her DP is approved, she can apply for LOC to work in Singapore. I am working full time in Singapore on EP pass. At same time I am thinking about taking a freelancing work for another company/sponsor – I will only do it in legal way. I am thinking about setting up company for the same from which invoces can be sent ? Is this possible through MOM? You can be the director of another company with your existing EP but you are not allow to work in that company. You are only allow to work in the company which your EP is applied with. However you may incorporate the new company as the director and employ a staff to assist you on the job instead. We can assist you in the incorporation and work visa. Do give us a call for further follow up. We are planning to open a company in SG and one of the owners (Kazakhstan citizen) needs a EP but he doesn’t have diploma from University. Is it possible to apply EP without diploma? EP application also looking applicants ork experience and job scope, thus we will be able to give better advise if we see the applicant resume and portfolio. Different type of company setup also affects the work visa application. At Paul Hype Page, we are a one stop incorporation provider that can assist you from setting up your company, work visa to all corporate sec fillings and accounting. My colleague will drop you an email to follow up. Hi! Recently, I signed up with an agency for job application where they explained to me they will outsource me for jobs available. However, I wasn’t told any other details about the job but they’ve proceeded with Employment Pass application first. Meanwhile, I attended another interview which happened to be direct recruitment. I’ve been also chosen for the job and I would like to proceed with that. After talking to the previous agency, they agreed to withdraw the application while it was still on pending. but they’ve given me a FIN number already. Now my question is, will there be any complications for new company to apply for my Employment Pass? How likely the pass application to be successful? Please advise. Thank you. Your case is a little confusing. We wont be able to advise until we see the full details of your EP application. It will be wise to understand fully instead of signing off any documents as all your application will be recorded and reflected on MOM site for future consideration as well. Thank you for taking your time to reply to this. Currently a third party vendor is dealing with my employment pass, and I gave them all the required documents except for my official degree certificate from my university. I finish all my courses this December 2016, but will not receive my official diploma until May (graduation day). The company wants me to start end January or beginning February, and my university usually provides a Letter of Completion under these circumstances stating I am done with my requirements and will receive the diploma in May next year. Will this be enough to apply for my EP? Please don’t hesitate to contact us if you need further assistance from us. Yes you can enter Singapore as as visitor within the visitor pass period – usually 30 – 90 days) but you will not be allow to work during this period. You will need a relevant work pass in-order to start work in Singapore. I’m an E-pass holder in the hospitality industry. If I have a night free, and have a friend who needs some help in their venue, can I help them? It will be for free and not on a part-time basis, more just a one off thing. Also if I was to perform a guest shift with my own special developed menu once again for a one-off with no pay is this possible? As long as you are volunteering to help out your friend and not receiving any payment, it should be alright. Hello, I am already an EP holder and another company wishes to apply for a new EP for me. Would they require my most recent EP for submitting an application or can I give them a copy of a previous EP I’ve held? I would prefer that they not know about my most recent EP as I feel it may hurt my application. If they only need some details such as FIN No., name, etc then any EP would suffice right? Please advise me on this. Thanks! MOM usually will have a record of all your Employment pass application and history. Your new company will only need your EP Fin no and passport copy as well as education info to apply for you. However depends on the company policy and EA agent whom apply for you, they may need more information for filing purpose. I have a question. I am new in Singapore and I have got a part-time job as teacher. MOM has approved my S-Pass and it is now in process. My question is: once I hold a S-pass, can I try to find another part-time job with another company? Is there any legal way of having to part-time jobs at the same time? Thank you. You are only allow to work for the company whom applies the work pass for you. Unless you setup a company yourself… if you are interested to find out more about setting up your company, do contact our corporate specialist for more information. hi can i use my degree transfer programme certificate to apply EP holder? There are many factors to consider during application of the EP pass. MOM will look into not just the applicant background and education but also the company P/L and if they employ any local Singaporean staff. We will advise your company to engage a employment agency to apply the pass for you which can also help you better your chances. Should you be interested, we will be able to help. We have a good success rate for all our EP application. What are the chances of a second application for employment pass as my first was rejected and also the appeal? For a background I am a foreigner with 10 years of work experience but I only started working here in Singapore for about three months with employment pass. I have applied for another job and luckily I was considered and hired, but when My new employer filed for an employment pass but it was rejected, and MOM required me to send 3 month payslip, bank statements and latest notice of assessment. I sent the 3 month payslip and bank statements but I do not have the IRAS latest notice of assessment because I just started working and IRAS tells me that it is only given for employees that worked for over a year. So the employer continued with the appeal but after almost a month, it was also rejected. The reason was the salary was high, now the employer revised it and gave me a lower salary but with allowance and it is equal to the original salary. Should I be worried and how high is the passing rate for the approval? There are many factors to consider during application of the EP pass. MOM will look into not just the applicant background and education but also the company P/L and if they employ any local Singaporean staff. We will advise your company to engage a employment agency to apply the pass for you which can also help you better your chances. Should you be interested, we will be able to help. We have a good success rate for all our EP application. It will be advisable for your brother to find the new job and apply for the work pass first, only when approved then he resign. As once he resign, the company will cancel the pass and he have to leave Singapore. Application of work pass takes 7 working days to 2 months depending on the information MOM consider and check. Setting up a company in Singapore will definitely make you eligible for EP and PR accordingly. Sure, we will contact you to your email for more information. Based on what I see from your website, best solution for me is to incorporate a company using a nominee director and submit and EP. – I will be visiting singapore this week.. would it be possible to have F2F meeting. Our company has 75-80% successful rate for employment pass application so far. For incorporation with EP, the cost will be $3,155. Plus, the recurring service cost will be somewhere around $2,000 per annum. Singapore’s corporate tax rate is 17% fixed, however, the actual percentage of tax you’d be paying will be much lower after tax exemption scheme and so on. For more information, please contact us so that we can give you advice on it. We will be more than happy to assist you for face to face meeting. Yes, it might take MOM up to 2 months should they see a need to double check some of the documents. You can ask your employment agent or company to call MOM to put in a chaser to help speed up the progress after 1 month if still waiting. Actually, I have been holding Spass holder. Do they need to double check if we already have Spass and FIN Number? I have one question. If i work in Singapore with one year permit, but suddenly i have some family problem need to go back Malaysia. Do i need to pay compensation? How much? No fines from MOM (only cancellation fee may applies) but you will have to follow to your work contract and give sufficient period of notice. You can stay in Singapore within the peroxide of your visitor visa while waiting for the work pass approval but you will have to leave Singapore once your visitor visa is expired and you are not allow to work in Singapore with visitor pass. I am Indonesian Chinese, I have been working in 1 year 7 month as Spass Holder (Interior Designer). Next week on 15th Oct is my last day work in current company. New Company have been apply for S’pass and still pending since 27th Sept 2016, I will start work on 17th Oct if MOM approve my S’pass soon. If you are already a Spass holder before, the chances of getting a new Spass should be high provided that your new company meets the quota requirement to apply for Spass. It will help if company or employment agent that applies the pass for you call MOM direct line to put in a chaser or follow up if MOM needs additional documents. I hope MOM can approve my pass soon. but why it takes so long. 1 week already, the status still pending? Unfortunately, you can’t be a resident director for a newly set-up company since your employment pass is tied to a particular company only. For alternatives, please let our representative get back to you shortly. Im an s pass holder before i resigned to transfer to another employer. But my new employer applied my spass only this monday. My social visit pass will expire on 5 october. Can MOM extend my social pass? Coz according to ICA, they cannot extend my pass. AS you are applying for a new SPAss with new company, they wont be able to extend the old pass. Once expired, you will have to leave Singapore and return with temp Visitor pass if you wish to be in Singapore while waiting for your new Spass approval. I have been hearing from my employer that MOM has put a freeze on approving the Employment pass and some of my fellows who have already applied for their EP in month of June 16, July 16 are still awaiting for their visas. Could you please let me know what exactly is going on and how soon MOM will start approving the Visas. There is no freeze in approval for Employment Pass in Singapore, however MOM did have stricter “Criteria” on the application and getting a right Employment agent to apply the card for you is critical. Our services include application, renewal and cancellation of various work and employment passes. Our expertise comes from our vast experience and in depth knowledge gained from serving our clients with dedication with the aim of creating long-term business relationships. We know that not the only standard EP criteria to be considered, as the Singapore government has tightened their criteria for work pass applications recently to control the rapid growth of non-Singapore citizens in the workforce. Apart from minimum monthly salary of the foreign candidate, other criteria will also being considered carefully. This could include relevant work experience, skills and a good business proposal to name a few. Currently, I am holding Dependent Pass. I find the “Letter of Consent” will be offered by employer if they can provide me a job. After this “Letter of Consent”, is it possible to change the DP to EP? The Dependant’s Pass allows spouses and children of Employment Pass or S Pass holders to join them in Singapore and Letter of Consent allows a DP holder to work in Singapore. While The Employment Pass allows foreign professionals, managers and executives to work in Singapore. Candidates need to earn at least $3,300 a month and have acceptable qualifications. Thus should you meet the eligibility criteria of the Employment pass, you can also apply for it. To find out more about employment pass and PR in Singapore, do contact our corporate specialist for a consultant. We advise you to apply for EP after incorporating a Singapore company under our nominee director. Our representative will send you more information shortly. I lived and work here in Singapore for more than 6 years and we decided to open our company and registered to ACRA last March. My problem is, I resigned in my job and give them a month notice. They have to cancel my visa in a month and I am asking your advice on how you can help me to apply for an Entrepreneur visa or Employment pass under our company. My business partner is Singaporean and currently she is in UK for a business trip. We would be glad to assist you on the Employment Pass. Our team will send you another email for the service accordingly. Good day! i just want to ask clear about my confusing status with Spass. i worked in Singapore for 7 years and my salary was all the way up. I have changed 6 companies during my time there. Now, i am in my country waiting for the new employer spass permit to be approved and its already more than 1 months plus(its the longest waiting time ever). I understood the new employer need to offer more salary and higher position because of my experiences and Age. I am not sure what my new employer put on the application form. Please advise whether if there is any chance that i can get my permit approved out of miracle. i am planning to go back Singapore next month with visit pass. (May i know is that allowed to go back Singapore with visit pass while my Permit application Pending? I am scare later the Immigration will question me. Thank you so much for your time and look forward for your advises. The duration and result of Working pass application are subject to MOM but surely it can take more than one month. You can still visit Singapore with your visit pass while waiting for your application, provided that no issue has been raised at the immigration center. Wish you good luck on your working pass. The timeline for each employment pass application varies so we advise you to wait until Ministry of Manpower (MOM) gets back to the agent. Can an employment pass holder of Comapny A continue to be the director and shareholder of company B? He is the director and shareholder of company B prior to be en employment pass holder of company A. An EP (Employment Pass) holder can be a director of another company but is only allow to work for the company whom applied the EP. Yes, usually MOM (Ministry of Manpower) will have a record of you in the system once you apply for work pass and they will use this information thru out thus its a high chance that you get the same FIN number. I have keyed in my old FIN no. But it still says no record found. I even tried keying in my passport number and the same results comes out. One of Singaporean company will recruit me and they told that my EP is on the process. The question, can I check the status of my application without the employer know ? thanks in advance. Yes, you are able to check your status on MOM website, should you have your FIN number. I’ve recently quit my job and got a 30-day short term pass which is expiring end of this month. However, I’ve recently found a job and my potential employer has submitted an EP request which is now on pending status. As my short term pass is expiring soon, will I be able to request MOM to extend my visit since my EP is still undergoing pending? Can I ask MOM or ICA to extend my visit or must my employer do it for me? It will be better for your employer / agent to call MOM to follow up on the pending EP and see if they can request for an extended temp visa for you. It is based on case by case. Hai. I have a question. If I have been staying in Singapore for a few weeks to a couple of months for holiday purpose, will it affect any of my future applications for EP? thanks! MOM will take about 1 week from date of submission for processing and may take longer (up to 2 months ) should it require inputs of external agencies. IT will help if the employment agent give a chaser / follow up call to find out if officer needs any additional supporting document to help speed up the case. my new employer has applied EP for me and it is approved. Now my question is, during the first time I enter singapore, I will not have the employment pass with me. Should I apply for a working visa or something before i can enter singapore for employment? Do u have the In-principle approval (IPA) letter? If you do, you may enter Singapore with visitor pass and proceed for card issuance as per instructed from IPA. I am a doctor worked in Singapore for nearly 10 years. I am on EP. Recently, I got a job in the UK and I am relocating to the UK. However, I am planning to resign my job in Singapore in the next few days, even before my UK visa comes through as I have to be in the UK asap for the job. My resignation notice in Singapore is 3 months (3 months from the date of tendering my resignation letter). My question is if I resign now in Singapore, will it affect my UK visa application. For example, will my company immediately inform MOM and will it affect my current EP pass and thereby my UK visa application? thanks. What exactly do you mean by “other paper complications” ? I’ll talk to my company HR anyway.. It is 4.5 weeks since I manually applied for ep in Singapore. How long does it take to procced it? My major is different from my offered job position & experience. Does it affect ep issuing? It usually takes MOM 7 working days to revert back if EP is successful, however in the event where MOM requires additional supporting documents, the process may takes up to 2 months. It will be easier if you have a employment agency to assist you in the EP application from the beginning. At Paul Hype Page & Co, we have our in-house work visa agent that allow us to assist you from incorporation to (Work Visa) EP application and all business compliance. Please advise if I will be able to change it to EP pass during my stay in Singapore. Hi, I am currently an EP holder with company A. I am going to start my own LLC company B as a majority share holding partner while remaining employment with company A. Can I do that? Currently i’m holding 2 visas in singapore. I’m still outside singapore and expected to join my new employer in a couple of months with my single entry IPA letter. My question is, can i visit singapore with Social pass which i already had ? before actually joining my new job with EP? AS long as you have not issue your employment pass card, you will be considered under visitor pass when you enter Singapore. You must apply to issue your employment pass before your 30days/90days visitor pass expiry or you might be charge for overstay. Hi, I just got interviewed by an insurance company in Singapore..
they are pretty interest with me, but they said MOM has a new regulation for expat that required the expat to do deposit around $50.000 to apply an e pass? and i need to reach the quota for 3 months which is super hard to reach for fresh graduated (they said) to make it work.. and this is the biggest problem, if in case i can’t reach the quota the deposit will be lost…! and i won’t get any e pass either my $50,000 back.. is it right ??? Are you referring to EntrePass? For your case, employment pass maybe more suitable for you and there is no need for S$50,000 startup capital. My Corporate specialist will email you with more details. Usually it will takes about 7 working days for MOM to revert back for New Employment pass application and up to 3 weeks for renewal. However it is subject to case by case as should there be any documents that needs further verification or checking via MOM, the process can take up to 2 months. Thus it is important to engage a professional agent to follow up closely on the case for you. Im working in Singapore for past 9 months, I got a new offer and before my EP got approved with my new employer I have put down my papers.. The status now showing still “pending” and its been 9 days. Im confused.. what should i do now…. shall I revoke my resignation or shall I wait for the result from MOM. When shall I approach my employer to get the status from MOM. Please suggest… have 30 days notice. and its already 10 days over. Im working in Singapore for past 9 months, I got a new offer from another company. They have applied for a new EP and its showing still pending ( 9 days ), I have also put down my papers in my old company. Should I waited for the new EP to be approved then I should have put down my papers?? Im confused. what shall I do now? will always EP take this much time to provide the result? Till how long i shall wait, when shall i approach my employer to get an update from MOM? Dear sir , i am ep holder in company A for last two years: may i setup a new local company B and act as one of director ? as well as MoM will allow me or give NOC me to apply Tobocca Lic under my name ? As a EP holder you are allow to act as a director for another company, but you are only allow to work with the company whom applies the EP for you. If you are able to provide us with more details, my consultant will be able to recommend the right kind of company setup that will be suitable for you. Please do give us a call to book an appointment. I’m John Ambrose .Age 53.Malaysian. Pls advise me how to apply for EP I got Diploma in Electrical/Elctronic,Energy Audit Certe from Singapore IT.Comp EX competency Certe and 18 years of experience in oil & gas field ,Hazardous and Non Hazardous Area Electrical & Instrumentation Selection, Installation, Commissioning, Maintenance, in Oil and Gas construction, Chemical, Petrochemical, Offshore Platforms, FPSO, FSO and Petrochemical related Industries Thank you for your support is needed. I have resigned from my previous company last month. I was on EP previously. I got a new job offer from another company now. They have helped to apply EP and S pass but all were rejected. The reason of rejected is this candidate is not eligible for a work pass. Please look for another candidate. May I know what does this mean? Is it means I am not allowed to work at Singapore again? Please help. Thanks. Can you tell me what’s the problem with my application results? In this case should I aply for EP ? If have please let me know how much do you charge for application process? Your company will be able to save on Spass levy should you be able to meet Employment pass criteria include a minimum salary of $3,300 and acceptable qualifications. At PHP, we have a dedicated group of EP consultant whom will be able to assist you on a hassle free EP application. Do drop us an email to find out more. I am EP holder of company A and recently got offer of company B. I have signed offer letter of company B and also applied EP, currently EP status is showing in pending , now in meantime I got good offer from other company C, now can it possible to take offer of Company C? Or is there any problem to hold any existing offer? Also can it possible that two employer can apply EPs? Your new company will not be able to apply EP for you while you have a existing EP application on pending. I am a EP holder at company A. I got a better job offer and company B submitted EP application last Monday 18/4, but till now the it is still in pending status. May I know usually how many days it takes to process the application? My ex colleagues who has also changed their job told me they got their new EP application approved very fast, all takes 4-5 days only, but mine already 1 week. May I know what’s wrong with my situation? I am working with company A on Spass, I got an offer with company B through an employment agency for Epass. my contract is under the employment agency, ill be working for another company. 1 ) the day I signed the contract they told me to resign from company A, I told them ill only resign after MOM approves my PASS. was I right ? 2) I have a 2 month notice period, will this affect my pass issuance for the new job. Once your pass is cancelled, you will have to leave Singapore unless they grant you a 30 days extension visa. For employment pass, once approved, they allow up to 3 months time frame for new EP card issuance. Thus it will be wise to discuss in details with your new company before you action. I have been in sg for 3weeks, i get a job offer and now my social visit pass expires soon. My application just get approved by MOM. so do i need to go back my country first or i can go for extension? please kindly advice me. Thanks. Once you issue your work pass card, you will get an extension for staying in Singapore before you get the actual Singapore workpass card. I would just like to ask some help. Im new here in Singapore. One company applied me IPA and it was approved but they have not issued yet and then another company offer me job whick I prefer most, can the new company apply me for new IPA? You will need to cancel the IPA before another company can put in a new application for you. Do note that during this period of in between IPA, you must have a valid visa to stay in Singapore or there will be penalty for overstay. This is Ajay . I am an indian citizen and living in Malaysia since last ten years. I am running my own business here and also started a company in Singapore last year July. Now, I would like to apply for EP there as I may be travelling there frequently for expansion of my business. I am an electrical Engineer passed from recognised university of India. Kindly let me know the details and procedure. 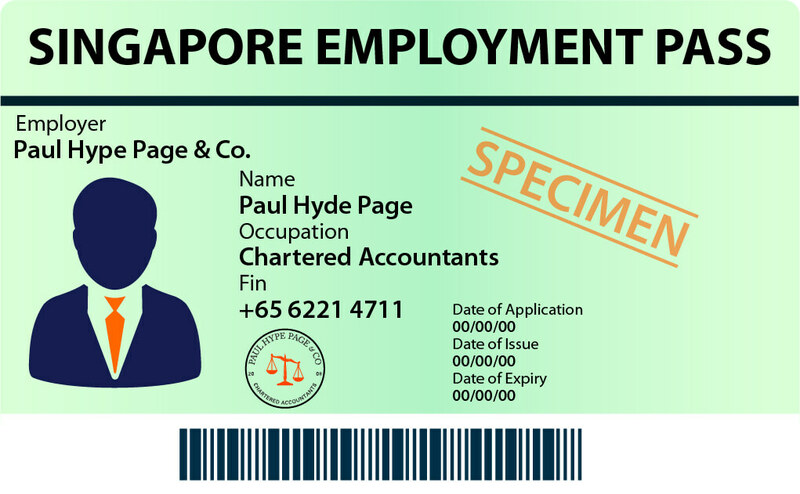 Yes, we have assisted many clients to obtain their employment pass in Singapore. Do make an appointment to meet up with my consultant so they can assit you with more details. 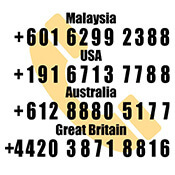 We have office in both Singapore and Malaysia. Is there a max period to EP? I have my EP renewed once, so when i finishes this round, it will be 4 years in Singapore. If i qualified, can i keep renewing or is there a limit? Understand that it some countries, foreigners are only able to stay for a certain period only (e.g. 8 years max). There is no limit to renew EP as long as the company and yourself meet the criteria and acceptable qualifications for Employment pass. – I previously worked in Company A but then I was not confirmed in 3 months by the company. So they gave me 2 weeks notice to search a new job, fortunately I have found a new job and hired by Company B as well as my S pass got approved by the MOM. But then after 4 days of working in Company B, the Company A called me over phone that they have changed their mind and want me to join back again to work in their company. So then I accepted their offer as I prefer to work with Company A. What will be the effect of this application in MOM since I previously worked in Company A, is it possible to be acceptable and be successful again since I already have my pass in Company B? .. And lastly what should I tell to Company B? I am currently an EP holder in company A. Recently I went for an interview and company B offer me to work with them. May I ask, is it possible for company B to submit EP application for me while I am still working with company A? Or I need to resign from company A and got my old EP cancelled only company B can proceed with the application? Yes Company B can apply for EP for you first, only upon approval, before they can issue the card to you, you will have to cancel your existing EP card in order to issue the new EP card. My employer has applied for EP 3 weeks back, but still it is in Pending status. when i checked with my employer they are telling some cases will take long time, but some of my colleagues have got it in 3 to 4 days last week. what will be the status in EPONLINE website if my employer appealed? also can you help in what cases it gets delayed. Yes if it is under appeal, it will show on EP online. However as there are an increase of applications, it might just take more than 3 weeks for MOM to revert back to you. My name is Amandeep Singh I am from india sir I want apply epass In Singapore but I no idea I study in Singapore I get diploma And I get training pass also so plz can you tell me I can apply epass ? Hi, I’m in Singapore in EP and got a new job. My new employer applied for my DP on 29Feb. The Date of application shows as 3Mar. Today being 11Mar, the status is still pending. It’s more than 7 business days! What could be the possible reason for the delay? Is it common for everyone at this time of the year or Is it unique to my case? it’s 16th Mar and the status is still ‘Pending’. Can someone please help me with this? Pls drop us an email and our CS will assist you. Yes due to the recent increase of work pass application, it is common for MOM to delay in reply. I am currently working for company A, on EP. I am considering registering a new company B in Singapore, and be the ordinary resident director, while keeping my job with company A.
I understand that dual employment is not allowed for EP. But how about just being a director and the shareholder (having no “working” responsibility in this new company)? If I understand correctly you confirmed to TAMI (above) that it is possible. However MOM confirmed to me that I cannot be a director in an other company (B) while under EP for company A. I am very confused. We will need more information before we can advise you correctly for your case. Do drop us an email for more information. You can only have one application at a time, thus until you have the result of EP application, then you can proceed to another application. Sorry I missed to add here, I am on Short Term visit pass now. I am currently a working professional in Singapore on EP. I would greatly appreciate if you could let me know if it is legal for me to pursue my passion of singing and join some local band and earn through gigs? If not, is it legal to join a band and not earn at all – like in the case of charity? As a EP holder, you are only allow to work for the company that applies the EP for you. My current employer renewed my EP in Oct 2015 with the fixed salary of $4800 for next 24 months. But from Jan 2016 onwards, they have revised my salary to $5100 and every month they are paying me the same. Now I am planning for my marriage and bring my spouse to Singapore in Dp. So am I eligible to apply DP for my spouse or not? If yes, what is the procedure for me and for my employer? If not, what is the solution? Bcoz from 1 Sep 2015, MOM have revised the Dp eligible salary to $5000. You will have to update MOM on your current pay before applying DP for your family. We will be happy to assist you. Please contact us. I am holding EP, i received an offer letter with more then 50% increase from my current salary. Now my new ep application is been rejected stating that employee will get big jump in salary, try to see some local talents. Now what should i give in appeal to get it approved? You can appeal with a letter from your company explaining why you are important to the company and how you can contribute to the company. Good reference letter from your past job and experience relevant to your new company operation will be a good additional point to work on. I am malaysian and intend set up incorporate co in sg. As google info, set up a incorporate co need PR or citizen or EP holders and 1 foreign shareholders. If we use your nominee director, do we need contribute CPF for him? and then the charges we paid nominee director can consider director fees? Director fees no need contribute CPF. It depends what other license and work pass you need for your company. Do drop us your contact via contact us and our incorporation team will get in touch with you for more details. I’m Jose and is currently working in Singapore since 2010 with an Employment Pass. I’m greatly considering to incorporate a company and invest here in Singapore. What is the likelihood of myself to get a valid Visa that will allow me to stay in Singapore and manage a newly incorporated company? Can you briefly give me an idea of the costs that are associated and most likely be incurred with this career move? Any initial steps that I need to take into consideration? The recommended solution for you will be to incorporate with employment pass. Book an appointment with my consultant and we will be able to assist you to on your company setup to applying of work pass as well as meeting all corporate secretary requirements. Hi, I am Malaysian that just get offer from SG company, they helped me to apply the EP but unfortunately it was rejected because my highest qualification was not match with the position. My highest qualification is MBA while position applied is Mechanical Designer, I am a diploma and degree holder in Mechanical Engineering and been worked as designer for the past 6 years. Is there any chance to appeal with my past qualification degree? It really depends on what’s the detail reasons for the rejection which your agent should be able to represent you to call and find out more. Your qualification seems to meet the criteria of EP, however, we will need more information about the applying company and your previous working experience to give you better advise. Should you require our EP service for your appeal, pls contact us and book an appointment with our EP specialist. I am a foreign national and am an existing shareholder of Company A (registered in Singapore). However, this company is not really active and does not have any profit. It is still live but barely operational. My question is, can Company B (another Singapore-registered company) hire me and apply for an S/EP for me regardless my being a shareholder with Company B? Note that I am not a director and am not holding any passes for Company A. Yes if based on your above case (and no other issues), Company B should be able to hire you and apply for work pass. Hello I worked in singapore for 8 mos this year then I found a new job with an agency and they applied for my pass and it is rejected after 1 month. I dont want them to re appeal my pass because im looking for a new agency. Can the new agency apply for my pass even though the latest employer os rejected? Or do I need to ask the employer first to withdraw the application even though its rejected? Thank you. We will need to understand more about your application before we can advise you. Please book an appointment to meet our EP specialist! Hi, I am a Danish citizen who has been working in Asia for various companies during the last 10 years. I have now been offered a job by a European company where I will mainly do consultancy and start-up of production equipment throughout the APAC region. For tax reasons and also to obtain a more permanent address in the region I am interested in looking into the possibility of setting up a one man company and obtain PE in Singapore. As I will be able to bill the European company from day one for more than $5.000 per month I would like to know if this would be a feasible construction and what kind of tax I would be eligible to. I am a Technical Engineer (Batchelor) and have more than 30 years of work experience in Europe and Asia. As a Non-Residents (Less than 183 Days), You will only be taxed on all income earned in Singapore, as long as you don’t receive your income in Singapore, you wont be tax. But this rule does not apply if You are a director of a company, a public entertainer or a professional in Singapore; or Your absences from Singapore are incidental to your Singapore employment. In this case, your total income (including income for services rendered outside Singapore) is taxable in full in Singapore. We will still need more information in-order to give you the most accurate advise. I am PR and I wish to open a private limited company with a spass holder is it possible? and after that he wish to stay in singapore and work for our company here. We knew the entry pass but it is not easy to get , any advise? S pass holder can not be a director or shareholder of the company, however, if he/she holds an acceptable qualifications, usually a good university degree, professional qualifications or specialist skills, you can consider apply for EP for him/her so then he can be add on as a director thereafter. Do make an appointment with our incorporation team so we can assist you from setting up the company to applying for work pass all in one go. Hi sir, I completed my engineering graduate in mechanical. Present I am working on work permit in shipyard.before interview time in India my agent say give me s pass but after coming here I understand they apply work permit. Then I ask agent what is this u told me s pass salary is 1$1800 job profile is office administrater ,after coming here he gave me QC position on salary $2.80 per hour.I ask give me back my passport want to go back India he says now u canot after sixmonths only can go first work here one year then apply s pass I compromise and working after one year I ask again he say if u no interest u cango back I shocked, after my seniors say OK anyho come here work one more year and try some other companies. next march 31st my permit finish, before that I want job in front office manager r executive bcz I have 13yrs exp on that. Can u help me from this criteria? What I do what I no do no understand? Hi paul. I am working in sg for 5 month in EP.my company mentioned my salary S$5000 in my EP application.but they pay me only S$2000 per month by cash (till they dont open for me any bank account so that there is no bank transaction of my salary).Every month they get my sign in the salary slip as S$5000 and get my sign in the blank salary slip too.what will i have to do to claim my full salary.i am awaiting for ur reply.plz reply me. I have resigned from my past employer last month. Now the another company A applied for me s pass and it was rejected few days ago and they appeal for the s pass again last week. But i have got an another job offer from company B and i prefer the company B. I’ve requested company A to withdraw the appeal and i told them the reason that i need to go back my home country for some problem in my family. But i don’t need to go home right now. In this case can the company B apply for me S pass? will it be approved if i don’t go back my home country?Also i’ve checked MOM that the appeal not yet withdrawn by company A. My sort term visit pass also going to expire soon. can you please suggest me. Hi, I am on a Dependant pass to an Employment pass holder. When applying for jobs online, I frequently face this question “Do you require work authorization to work in the country of origin for this position”…with a “Yes” or “No” option. I want to know what should be the reply. Is it a “Yes” or a “No” though I know that DP are allowed to work if their family members are Employment Pass holders (EP) and if they have secured a job and the employer is willing to apply for a Letter of Consent on their behalf. But there is no option to provide all these details. I will suggest that the answer should be yes as your employing company will still need to apply via MOM for Letter of Consent. Hi, I am an Indonesian and will be graduating from University of Melbourne this coming December. I have been planning to set up a company with my Singaporean friend. Will I be eligible for an employment pass for my startup company? There are a few criteria to Employment pass, your educational background will definitely helps. MOM will also look at your working experience, pay range as well as the company background. My colleague will email you more information about applying for employment pass as well as our “all in one package” that helps you incorporate your company as well as arranging your work pass so you save time and effort to have it done all in one place. My EP got rejected and in order to address the issue, mom asking for my iras, 3 months payslip (from the previous employer) and personal bank statements. What is this for? Also, when will I get the appeal status when company say that they “re submitted and waiting for their reply”? Can you explain ? Also the status online still rejected and not pending at all. Thanks Paul. Mom is still assessing your Employment Pass Visa application and like to refer to your past records to verify the information provided by you. Don’t worry the status is showing rejected even through they are reviewing your case. I hold a Ltd company in India – Citi Sportz International Ltd, which has tow wings – 1) Manufacturing of Fashionwear and 2) Business Solution consulting…Can i start a subsidiary company in Singapore and what is the minimum investment involved? Can the company generate an Employment Pass for director once the company is formed? You can start a subsidiary in Singapore with $2 paid up capital. There is zero local staff quota for applying for an employment pass. However, please note that as there is a corporate shareholder then it need to be audit annually which will increase your compliance cost. Therefore, it is better to open a related company where there is common directors and shareholders. I am a computer science engineer and have been in Singapore for the last two years during which i completed my masters in business here from a recognised university .After my study,i was on LTVP .I then took on a job which allowed me an S Pass but it did not quite pan out and i decided to quit the job as it was unfortunately ,a terrible experience for me .I understand that once i have handed in my resignation letter,i will then be allowed a 30 day short term pass .I am aware that it would be a difficult task to secure a job within a month,i was hoping atleast for 3 months .Is it possible to apply for an extension or exit the country for a few days and then come back ?I would value any advice in the matter. Unfortunately you wont be able to extend your short term pass. You will have to exit the country and come in again with visitor pass. You may also want to consider setting up your own company and applying your own EP? Do book an appointment with us should you be interested to incorporate your own company. Hi. I am from India. Also would want to know about starting my own business in support services in Singapore with just one local singaporian staff and myself. Do I necessarily need a local singpaore director to be part of my business and how much do I need to pay him monthly? Hoping to hear from you on this. Thank you. You will need a local resident director and as for fee there is no fixed or minimum amount. It will be an agreement bwtween yourself and him. I am a Canadian citizen that has been living in Singapore for the past 18 years, I just managed to get an Employment Pass in May and I am considering applying for a PR here in Singapore. I understand that I will be applying under the Employment Pass, therefore does that mean my sponsor is the director of the company I currently work in? Also, with my employment pass, how long can i return to Canada for before they cancel my employment pass? 1) The sponsor of your employment pass is the company and not the director of the company. 2) there is no statutory law stating maximum days you can away from Singapore before MOM cancel it. How is the visa application via an agency like yours different than directly applying by the company? We have a higher success rate as we are experience in dealing with employment pass appeal and application. MOM may be venting your documents thus required more time, the usual respond time is 7 days but it may also take up to 2 months should they need more information and checking of the documents. As you already have an agent applying this for you, we wont be able to assist for now. Should you need to reapply, we will be able to help. Hi Paul. I have 7 years core experience in Customer Service Industry as a Support executive and I am searching for a job in Singapore. I would be glad to know of any reputed employment agencies that can assist me in seeking a job in the same field in Singapore. I am from India. Also would want to know about starting my own business in support services in Singapore with just one local singaporian staff and myself. Do I necessarily need a local singpaore director to be part of my business and how much do I need to pay him monthly? Hoping to hear from you on this. Thank you. The amount to pay him is a commercial agreement between you and the local director. Thee is no restriction or rule. The S Pass allows mid-level skilled staff to work in Singapore. Candidates need to earn at least $2,200 a month and have the relevant qualifications and work experience. The number of S Pass holders your company can hire is limited by a quota. And your company must also pay a monthly levy for the Spass holder. Should all these eligibility criteria is met, there should not be an issue with your pass. I came here in sg last august 09 and I have my social visit pass for 30 days luckily i got a job offer. The agency told me that they are one who will apply for my EP. So after my training for 1day they do process for my EP. They send to me my mom application no. On sept. 07. But i do check my status last sep. 29. I was rejected by mom. The new company who hire me was operated or established last july 2015. They offer me 3,300$ for the monthly basic salary and the position for CSR. I am bachelor degree graduate and work experienced for 8 years as VIP SERVICES HOST (CSR). The agency called or asking me if it is ok with me to change for another employer bec. My previous application was rejected. I said yes it’s ok. But the employer texted me that they will reappeal my ep application and they will request to the agency. Is that ok if they will reappeal my previous EP application and got my new employer and apply for new EP application? Can you give some advice why my ep application rejected by MOM? You seems to meet the criteria of EP application, however we are not able to advise unless we have full information. There are many other factors MOM may look into apart from your education, pay amount, work experience and also the background of the company applying the permit. You wont be able to apply for a new EP if you have a existing pending appeal going on. Hi, good day to you. I would like to consult 2 questions. In the middle of August, i received an job offer from Company A. They submitted my application to MOM.Yet, after 3 days, HR informed me that management would like to hold on the hiring. Therefore, they withdraw my application. Last week, Company B offered me a job, i accepted and proceed on EP application as well. Result showed Approved. However, on the same day, Company C offer me a better job which I prefer most. Due to this, Im very confused and worried that how if i make wrong decision. 1. Im really prefer Company C. If I cancel my application from Company B, will it be effort on my application in Company C? 2. How should I reject Company B so that they will state neutral reason for withdrawal. 1) Co B has to withdraw the EP application then Co C can apply EP for you. There is no guarantee it be successful. 2) You should tell Co B the truth that you prefer Co C.
I had completed my Bachelor of Degree in Accounting. I would like to know if EP had any quota or limitation? As I had got an offer from Co A but when they applied for the pass, I was rejected, the Co told me is because the MOM told them their quota is full. Therefore, I took the offer of Co B and currently they are working on the EP application. However, after 3 weeks I still hard to get a response from the Co as they told me the MOM has keep asking for more information on my application. What is this mean or why is this situation happening? Is it affected by my first application by Co A? There is no quota for Employment pass. Further, it true that MOM is getting more strict on the requirements hence requiring for more documents is normal. I am new to Singapore and recently got a job with an Employment Pass. Next month my probation period will be over. So if my employer fire me at the end of the probation period what is the process? What will happen to the EP? What is the maximum period I can stay in Singapore until I get another job? Should you be no longer working for the company, your pass will be cancelled. Upon cancellation of your EP, you can apply for a 30 days temporary pass* (pending on terms and condition) . Hope you can guide me, I am in a slightly complicated situation. I had to leave my job due to some restructuring in the company. While on the notice period I got a job and my new employer applied for my EP which got rejected on 27 Aug and the reason given was that “my salary does not commensurate my credentials, please look for another candidate”. It is a small team in Singapore and this is the first time they applied for EP. So now my employer is not sure if we should make an appeal (which may take longer time) or proceed with a fresh application through a consultant. please advise on this. Also I have got another job opportunity from a well known MNC, I had my interview with this company in June but for some reason they had kept the role on hold and now they have made an offer to me. My consultant says, getting EP for this MNC is not a problem. But for me, I don’t want to say No to any of the employer at the moment. So my second question is, if it is alright that both the employers apply for my EP at the same time (my consultant says we can)? Can this be a reason for MOM to reject both the application? Also since my previous application was rejected, will it have any influence on my new application? Fyi, My EP was cancelled yesterday and now I am on a social visit pass for a month. You won’t be able to apply for Two EP with Two different company at the same time. You may hold an EP while applying for another EP with another company. (hope I didn’t confuse you). Should you have sufficient supporting documents for your appeal, it will be advisable to apply for the appeal instead of a new application. We are able to assist you in your Employment pass application. Do make an appointment with our EP specialist so we can further advise you. I have a master degree and 1 year of relevant working experience and I got a job offer in Singapore that pays 3,300, and the company is applying Employment pass for me. Just wondering, if the chances are better at getting S Pass (min. 2,200) as compared to the bare minimum of Employment pass? Do advise. It depends if the company has quota for Spass and also there is a government levy fee that they will have to pay for Spass monthly. Should your company engage an experience employment agency to apply the pass for you, chances might be better. At Paul Hype Page & Co. we liaise directly with our in-house employment agent, whom has a very good track record of success EP cases. Please do book an appointment with us should you need our help. 1. Is it difficult to get Employment Pass with exact minimum salary offer (3,300SGD)? Considering I have a master degree and 1 year of relevant working experience. P/S I did the self-assessment tool (SAT) and result shown that I am likely to be eligible for either Employment Pass or S pass. 2. How about applying Employment Pass with job that offers 3,000 to 3,200 SGD which is below the minimum base salary sets by MOM? Is it even possible to get Employment Pass? If you are an overseas employer that does not have a registered office in Singapore, you will need to get a Singapore-registered company to act as a local sponsor and apply on your behalf. 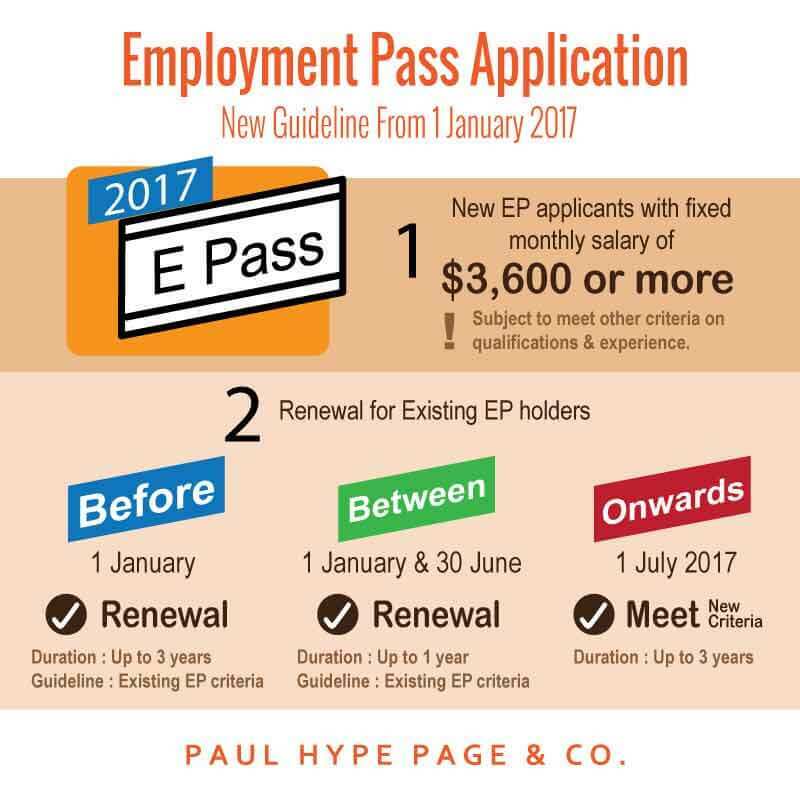 In another word, You can apply for EP (employment pass without sponsorship) if you have a Singapore company. At Paul Hype Page, we provide employment pass application and company incorporation to corporate secretary services, let us know if you need our assistance. This is janahiraman from India, i have completed my mca degree. I like to work in Singapore as well as study. Please tell me the procedure or possible way. Waiting for your reply .. If you are on study visa, you wont be able to work. It will be better if you look for a job in Singapore first, get your employer to apply work pass for you then you take up your study as part-time. You can check out Jobstreet and JobDB for opportunities. Another way is to consider starting a business in Singapore and setup your own company. Do contact us should you be ready to start your own company in Singapore. Good day. Would like to consult you 2 questions. First, I’m currently an EP holder, but one of the criteria for EP is to have a minimum fixed month salary of $3,300, which doesn’t reflect on my current condition, so i would like to know is it an illegal practice in my company? Second, as an EP holder is it legal if I take up any part time jobs outside of Singapore, for instance in Malaysia? Only eligible candidates will be considered for an Employment Pass. Criteria include a minimum salary of $3,300, thus, YES you should have a minimum salary of S$3,300 in order to obtain an EP. EP holder can work oversea, however you will have to apply to Malaysia law for Malaysia work pass. Last year by this time I applied 2 times for EP pass with agencies. Both times got rejected because that agencies cheated people money. They just made fake interview and said pass then they took money 950 for keyin. But they don’t really have any job. Then make some trick to get a rejected. Last week I got a job and the company applied pass for me. When they applied from online there has three option. 1. EP/SP 2. EP only 3.SP only. Then they choose EP/SP. Yesterday I got rejected and mom site shows S pass (Rejected). I am a degree holder, have two diploma also. I studies at Singapore for one and have years. So I thought I will get S pass. Might be the company don’t have quota. Then the company appeal for me EP pass. Before they appeal the took the self assignment tool and they said i was passed. So my pass abit complicated. There has any good chance to get my EP pass approved? Company applied for my occupation is Senior Graphic Designer. and salary is 4800 $. I had 4 years experience at my country but I don’t have experience in SG. Please reply me asap. My social visit pass till 19th of September 2015. So can i have a chance to get appeal result before finish my visa. Thank you. There are many factors to MOM consideration for work pass, thus we wont be able to give you a full analysis unless we know more about the company. Appeal may takes about 7 to 60 days depending if MOM needs to verify your document with external parties. It will be helpful if your company use a good employment agency to assist in applying the pass for you. We charge S$800 per EP/SP pass application with an experience employment agency. Do let us know if you need our services. I recently got married to a Singaporean but I’m currently based here in the Philippines. I would like to find a work there so I could be with him longer and possibly start a family. I tried the Self-Assessment and I was qualified for either an Employment Pass or an S Pass. However, it says I can only be eligible for the S Pass if I earned $2,200 a month or Employment Pass if I earned $3,300. Although I am employed in an IT company as a Business Analyst for almost 2 years, my salary is below that criteria and I don’t think I will be able to earn that much even if I stay in this company for a lifetime 🙂 Is it really a must for me to comply with the financial criteria? Yes the min pay criteria must apply in order to apply for Spass or EP pass. If you intend to work in Singapore and are earning a basic monthly salary of $2,200 or less, you can apply consider applying for a Work Permit. Another option you can consider is to start your own company so you can apply for employment pass and your husband can be your company director as he is a Singaporean. Let us know should you need more information. Company B had asked me to work for them immediately after the approval of the pass- but company A have not cancelled my work pass under them. Am I allowed to start work for Company B in this situation. Your new company wont be able to issue you a new pass unless your old pass is cancelled. You should only start work with the new company after your new pass is issued to you. Yes, you are allow to act as a Director and shareholder for another company. However please remember that you can only work in the company that aplys the EP pass for you. (In your case, you are not allow to work in Company B but you can act as director for them). I am currently holding Employment pass and working for shipping organization. But interested to do some online marketing too.. Does it have any impact on my EP? You can only work with the company that applies the work pass for you, it is illegal to do any other part-time job. However for your information, if you apply for PEP – Personalised Employment Pass is for high-earning Employment Pass holders and overseas foreign professionals. It is not tied to an employer and offers greater flexibility than an Employment Pass which allows you to have multiple jobs. My questions is do the Malaysian (executive director) need to apply work permit for him to execute the business? My question to you is, are the other Singaporean also going to act as the local director of the company because it is a mandatory requirement in Singapore to have 1 local resident director for company incorporation. Secondly to answer your doubts, if the Malaysian director will not be residing in Singapore and will only act as the non-resident director of the company, he/she need not apply for work pass to execute the business. Should you require any further clarifications, feel free to drop an email to us via the contact form on our website. I’ve found the information on the site quite insightful and thank you so much for it. I’m an Indian and now I’m in Singapore on an EP. I would like to know if I can take up part time jobs in Singapore apart from my main job. To be more clear, I’m working with a company X as a Lead Business Analyst. Can I take up another weekend job either in the same field or just an odd job like teaching or anything?? Is it legal? I don’t have any restrictions from the company though based on the offer letter that I signed. Just wanted to know if it’s legal to manage two jobs with EP. It’s just been couple of weeks I’m here and I don’t have a PR obviously.Awaiting your response. It is illegal to have part time job even if your company allows as MOM don’t allow dual job and they take this very seriously. You may not want to take the risk of having your EP been revoked by MOM. It would be better for you to contact MOM directly and provide them the FIN no. stated on your Employment Pass approval letter for verification of your doubts. To be frank, MOM is getting more stringent in approving the EP application these days which is why they are requesting for additional information such as the company business plan, copies of invoices etc especially when the company is newly start-up as they would like to find out more about the business structure and whether if the company has the financial capability to hire a foreigner. I cannot guarantee you that if you engaged a professional firm, it will be a 100% approval or the application will speed up as at the end of the day it is still subject to MOM’s approval and how fast they response to your appointed agency. I would suggest you to consider to try and appeal with all the requested documents, you might be surprised with the outcome. Thank you very much for taking the time to respond to my question. We are not actually a new start up company as it has been around since 2005. i have been the sole operator here at Singapore (so the company is not limited to advertise such position) but additional staff is needed as we expand the scope of our operation this year. It is nearly two months now since we applied and after over 150 pages of supporting documents sent to MoM, the application status still says “pending”. i have tried their hotline and online feedback but of course no reply at all. Understand you have sent some supporting documents to MOM, wondering if that is for appeal purpose? If that is the case, you will need to wait about 5 working weeks for the MOM officer to process your appeal. I am currently under EP pass as a HR manager . I am planning to takeover a Minimart in Singapore which is running for 2 years. Can the company apply Ep for me. Is there any quota for it. It is a retail business. What are the options for it. What designation can I put for it. Yes, the company can apply EP for you however it will still be subject to MOM’s approval, no quota is needed for EP application. You need not cancel your existing EP first, you may do so once your new EP is approved by MOM. Quota is only needed for Work Permits & S Pass application. You may book an appointment with our consultant via our “Contact” page for more details. Good afternoon. I would like to ask that what is the difference between normal employment pass application and employment pass application for sponsorship case only. Thank you so much. Normal employment pass (“EP”) is for local company who would like to hire foreign talents to work with them with the conditions that their fixed monthly salary should be at least $3,300 (more experienced candidates need higher salaries) as well as possessing acceptable qualifications (preferably degree else diploma). EP for sponsorship cases is slightly different, for instance, company A is a local company & company B is a foreign owned company. Both company A & B are planning on doing a project together that requires technical skills and knowledge. Hence, company A has to sponsor one of the staff from company B to come over to Singapore and teach/train the staffs in company A how to perform all the technical work in order to complete the project. Hi, I am an Indonesian and currently working as an interior designer in Singapore. I have 4 years experience (all in sg). I obtained bachelor’s degree from Indonesia. I am currently an S pass holder, but my employer would like to apply EP for me. However, when I tried the Self-Assessment Tool, the result showed that I likely to get an S pass only. Does this SAT result show quite the same possibility as the application outcome? And could you advise on how to increase the possibility to get an EP application approved? Thanks a lot. If you have an degree and working experience, the chances of EP should be good, however we will need more information from you to understand the whole situation before we can recommend the right approach. Do make an appointment with us should your company be interested to engage our service for EP application. The Employer is usually the one whom is to pay the security deposit (if required) for the staff. Depending on the different work pass, some pass don’t need Security Deposit. Should you need any assist in EP application, do make an appointment with us. Would you please suggest way to come there and worke there..
You may want to consider setting up your own business in Singapore and apply for Employment pass. Do make an appointment with us should you be interested. To apply for employment pass, you must be eligible to apply for certain criteria such as minimum salary, etc. Could you please explain more about yourself and the company hiring you? Yes Singapore welcomes good experienced IT personal. You can check out Jobstreet or JobDB should you be interested to get employment. You may also consider registering your own company and we are able to assist you incorporate with employment pass. HI, i would like to ask because there are two companies hiring me. But the first company has applied the employment pass for me which is still pending for approval but now i found another company which i prefer more, so in this case, can the second company apply employment pass for me again? does it has any implication on two different companies apply ep for the same employee? If your application is still pending, chances are the 2nd company will not be able to put in the application for you as MOM will be able to detect that you have an application pending. I have been working in Singapore for 1 year 7 months. Here is my first time to change job in Singapore. I got new company want to hiring me and new company applied spass for me since 27th September, till now the status still “pending, and outcomes maybe 2 months”. I will resign on 15th October. What is the percentage for my approval spass? Is it possible to get new Spass? MOM usually requires more time when there is a need to double check some documents you submitted. The company or employment agent can try calling MOM direct line to follow up and request for a chaser for your case. I am facing identical issue as Jonathan Tan. Up to now, I have worked in Singapore for about 2 years, with an employment pass. Recently there are two companies that offer to hire me. Last week I have signed the offer letter with the first company and MOM has approved the employment pass application which is still pending to be issued. However I just receive an offer from another company that I prefer more. In this case, should I request the first company to withdraw the application before the second company can apply the employment pass for me? Kindly advise if the withdrawal of the first application will affect my profile with MOM as well as the next application. As the first application is still pedning to be issued, you will need to ask them to withdraw the application, then another company can apply for your new employment pass. Hope this will answers your question. I was visit in singapore before 20 days and i live in clark quay road east / west road near china town but now i m living in pakistan. I want a job in singapore so please provide the creiteria for obtain the employment pas. Please send us the all expenses included your fees. 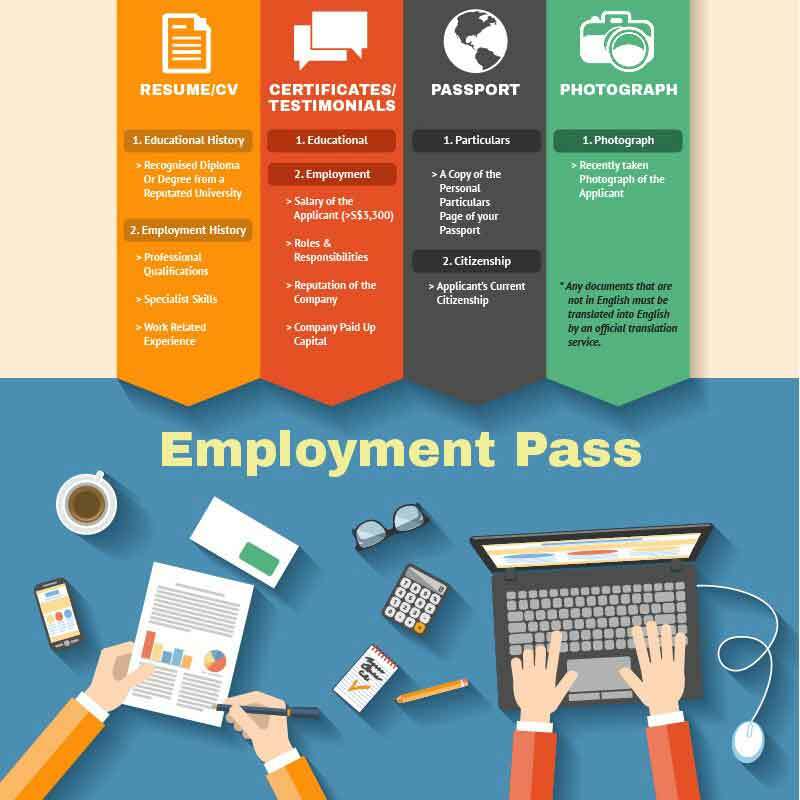 An Employment Pass (EP) is a Singapore work visa issued to foreign professional employees, managers, and owners/directors of Singapore companies. An Employment Pass is normally issued for a period of one to 2 years, and is renewable. Feel free to contact us once you are ready to consider setting up your own business in Singapore. I currently have an EP with my company and earn 4300 per month. Due to the natural of my work at this company they have reduced my hours and now am only required to work weekends whilst retaining my full salary. It it possible to apply for a second job in Singapore on this EP? So that I can work during the week for one company and the weekend for the other? The other factor is the other job that I want to apply for is in a different field of work. I have the qualifications to do both jobs.